Welcome! Kim Lee Learning LLC has an Amazon store! Many times parents have asked me about ways to practice math at home. I think one of the best ways to investigate and understand math concepts in a fun way is through games. 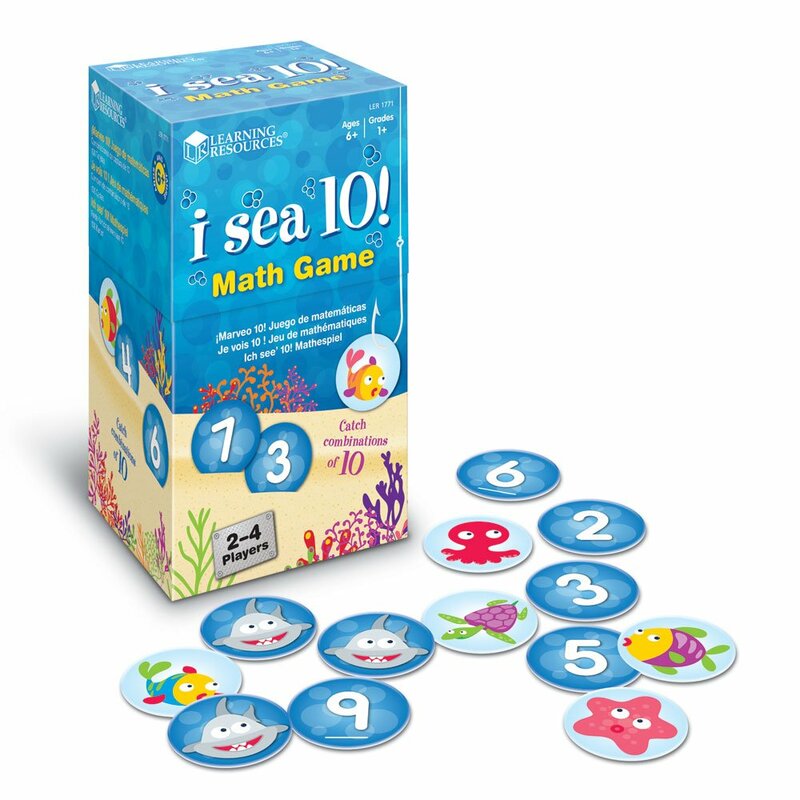 Games teach number sense, logic, reasoning, spatial understanding, and many thinking strategies like focusing, connecting events, following multi-step directions, perseverance and having an “I CAN DO IT” attitude. Games also help develop working memory, and though integration. There are also wonderful stories that have math connections and teach math skills in a fun way too. My experience as a teacher of preschoolers – 8 th grade and as a parent has helped me create an Amazon store that I hope you will find helpful. My children are ages 12 – 16 and we love to play games. When we go on vacation, games are at the top of our packing list! I put recommended ages next to the games, but some children are ready to play a game earlier and others love to keep playing certain games even when they are older than the suggested age. Please remember to access Amazon.com through my link to the right whenever you shop there and my product links will take you directly to Amazon. Hope you enjoy your shopping and thank you for visiting! A quick card game where children need to focus on categories (color, shape, amount) quickly to get rid of their cards by finding matches. 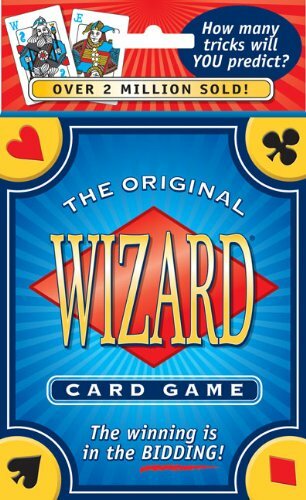 One of our favorite card games! Ages 8 and up. My daughter played when she was younger than 8 and would be on someone’s team. 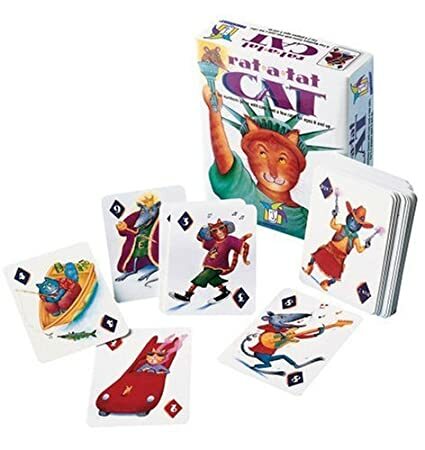 This game is fun for adults and children, plus children get to practice addition skills, and decision making while remembering the different powers of the cards. 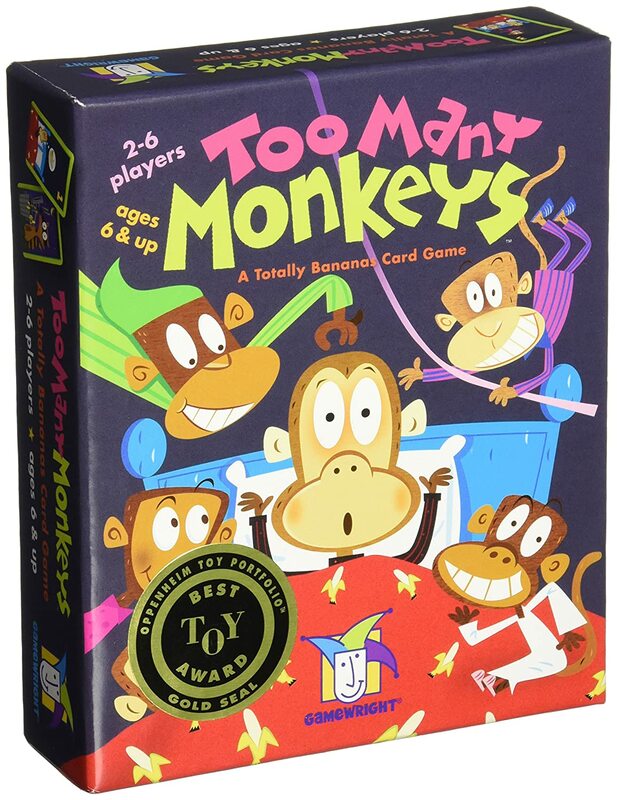 Another great card game that’s fun for all ages and quick. Ages 4 and up! It’s easy to bring anywhere! This game helps develop number sense by understanding the value of a number and comparing numbers! It also develops working memory and problem solving skills. 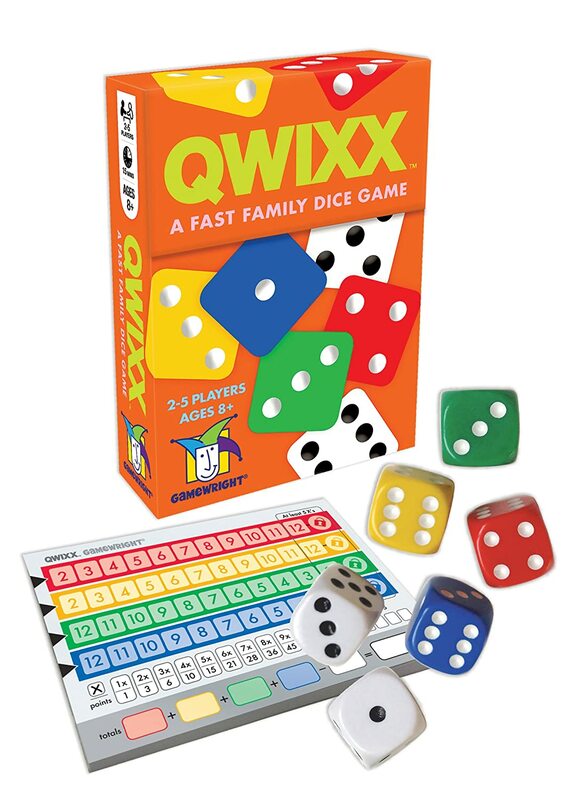 Fun game for ages 6 and up to practice basic math facts using dice. 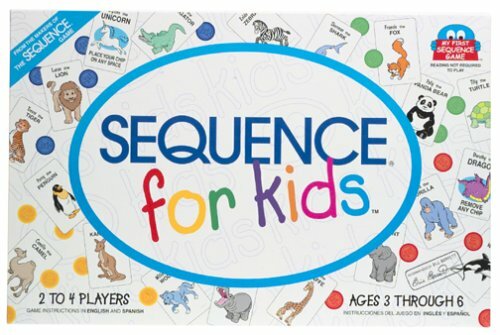 The rules of this game can be adapted depending on the age of the child. Younger children can play by using addition and subtraction, and older children can use addition, subtraction, multiplication and division to solve the dice problems. One of my children’s favorites when they were young. Ages 3 – 7. They use strategy and memory to play the game. 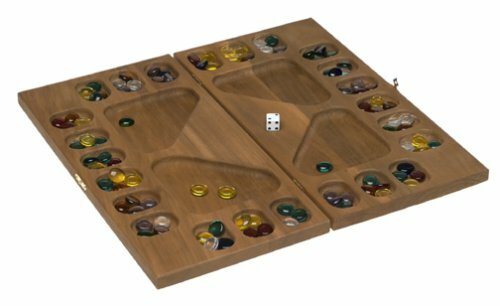 Fun and fast moving dice game. Players are trying to get highest points. This is my 11 year old daughter’s favorite game to play when friends come over. Easy to play, but enough skill involved too. Good game to practice decision making, number sense, and following directions! Ages 8 and up! 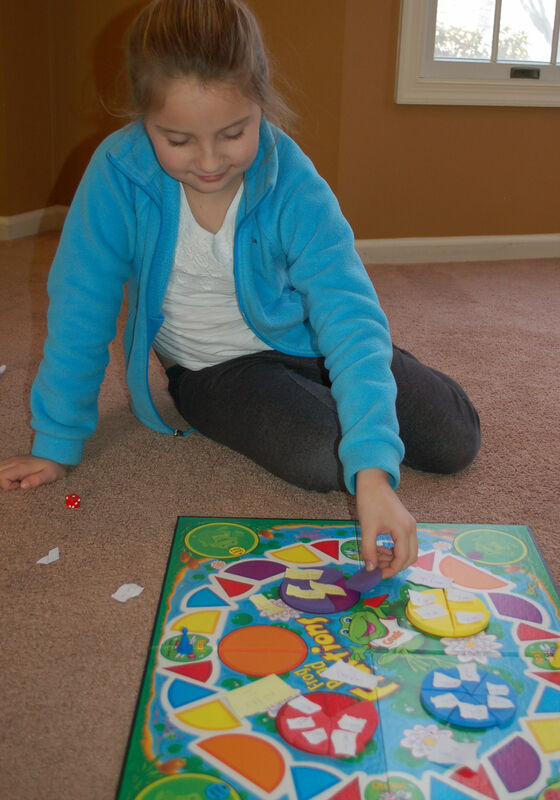 Strategy, chance and dragons- fun game where children use math skills and probability. It’s a great next step up from Sleeping Queens! I enjoy playing this one too! Ages 8 and up! Favorite game of my students this summer at Math Camp! 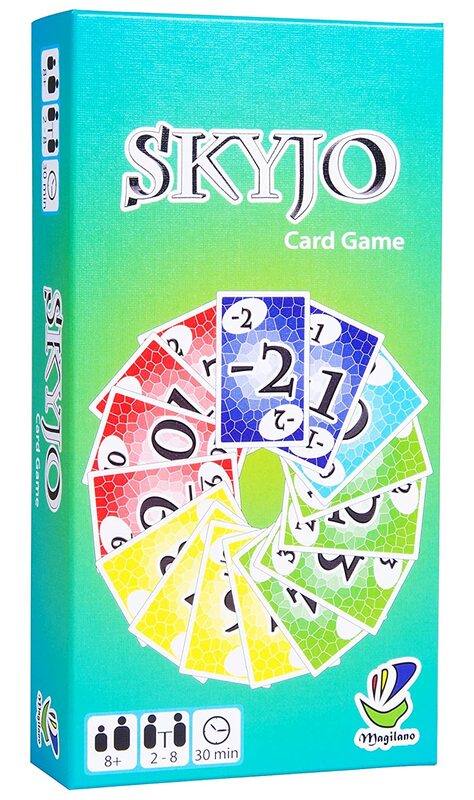 Great for 2 – 6 players. 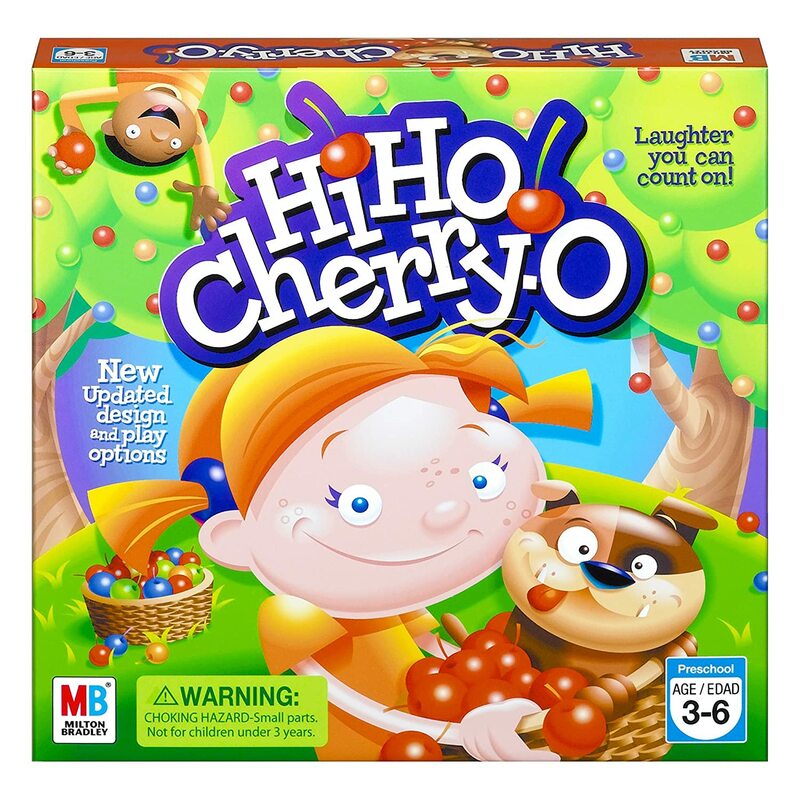 It’s a quick game where a variety of ages can play about 7 and up. Goal is to get most points. Fun strategy game. 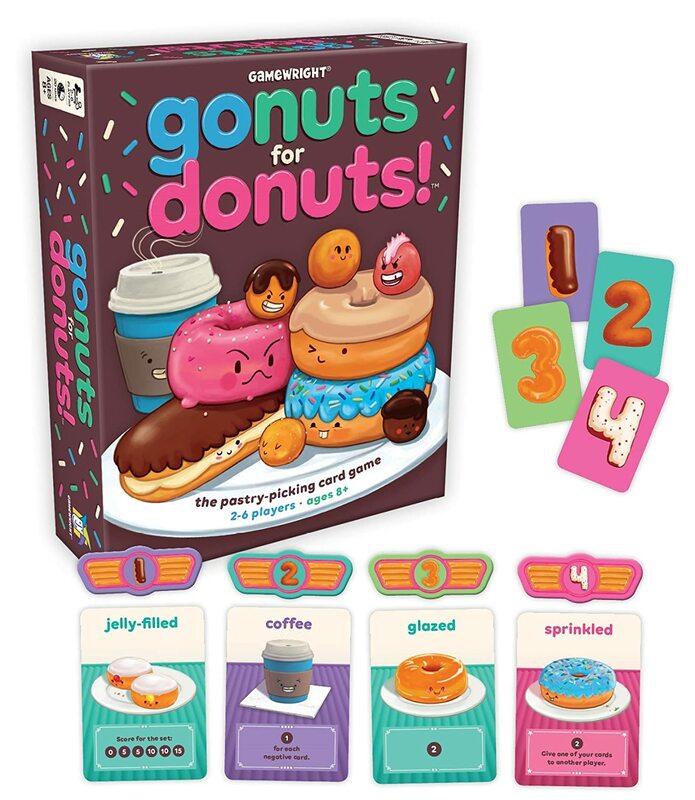 Donut cards make you hungry too! My teenagers enjoy this game! I do too! Goal of game is collect 15 points first and you win. 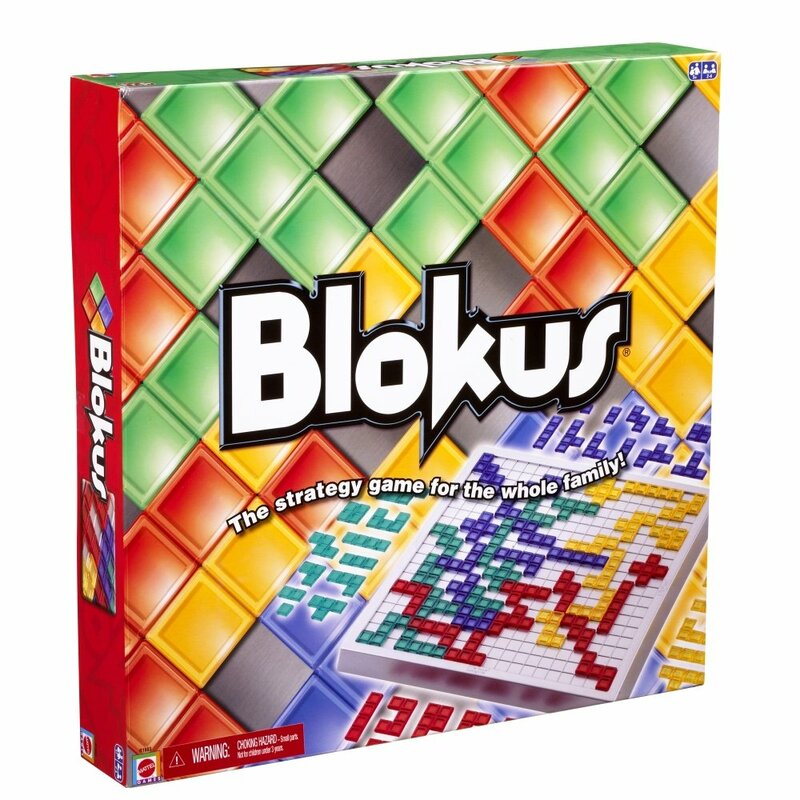 It’s an engine building game where you collect points and use strategy to block others. 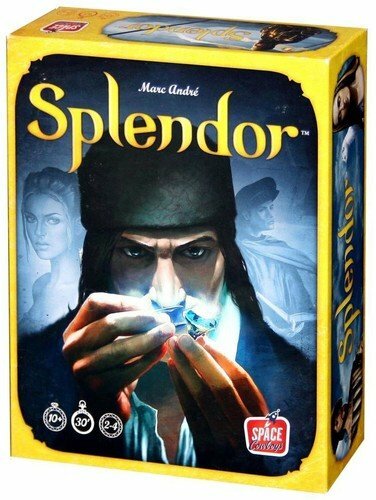 Splendor is a fun, fast-paced game that is pretty quick to learn despite having a decent amount of strategy. My 15 year old daughter’s favorite card game of this year! Easy to learn, ages 7 and up! Fun for a group, 2 – 6 players, fast and unpredictable! Goal of the game is to get most money. 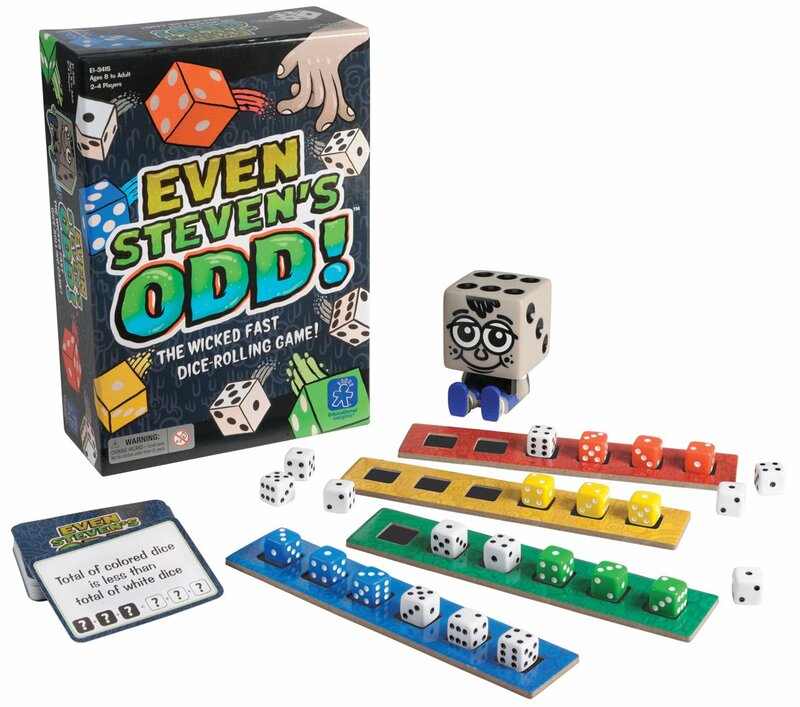 Great for developing problem solving skills, decision making, and number sense. time favorite but one that my tutoring students enjoy! 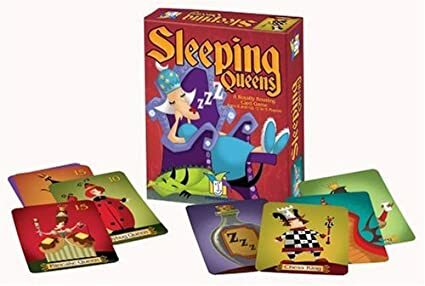 Favorite card game of 2018 that I play with students ages 4 – 8! 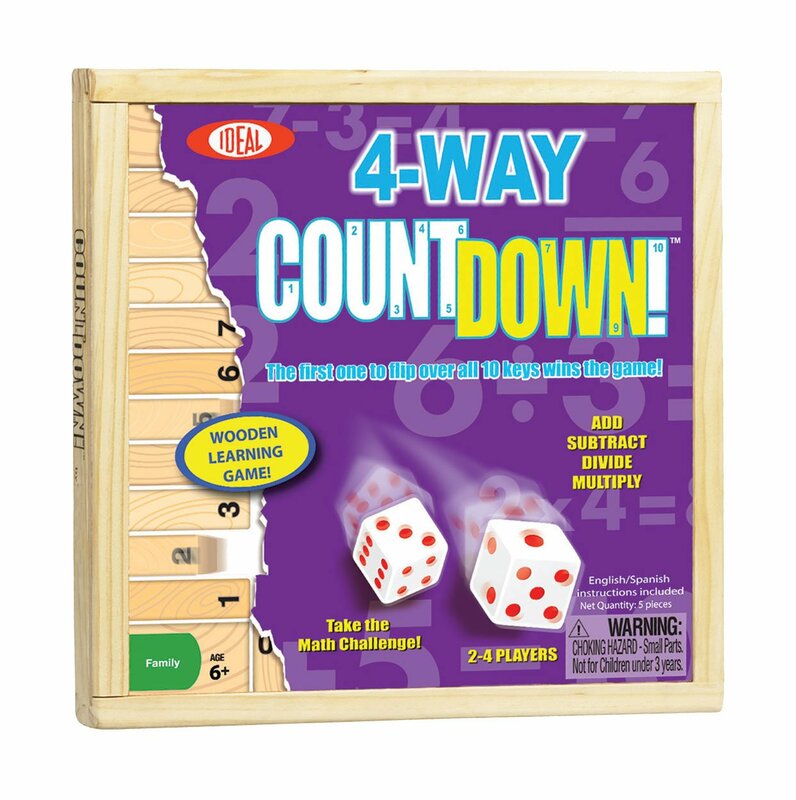 Fun, fast, easy to learn and great way to teach and practice thinking strategies and working memory as well as number sense(ordering and comparing numbers). Students in my Creative Minds STEM class love these toys! So many great ways for children to explore investigate, design, and learn! 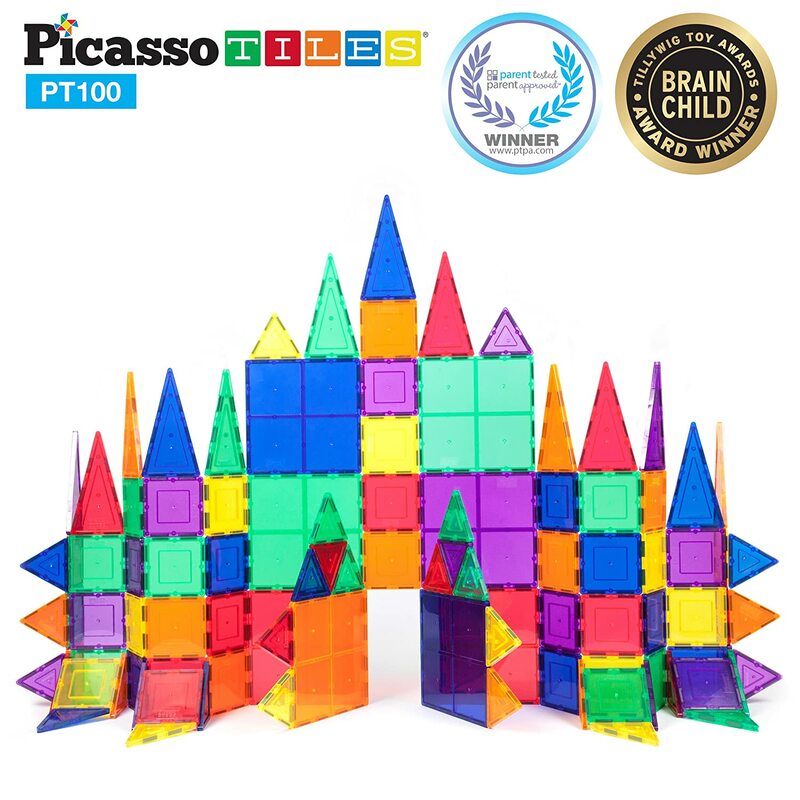 These tiles foster creativity, problem solving, understanding of shapes and 3D figures. Fun way to investigate and explore with magnets too! A fun game for 3 rd – 5 th graders. 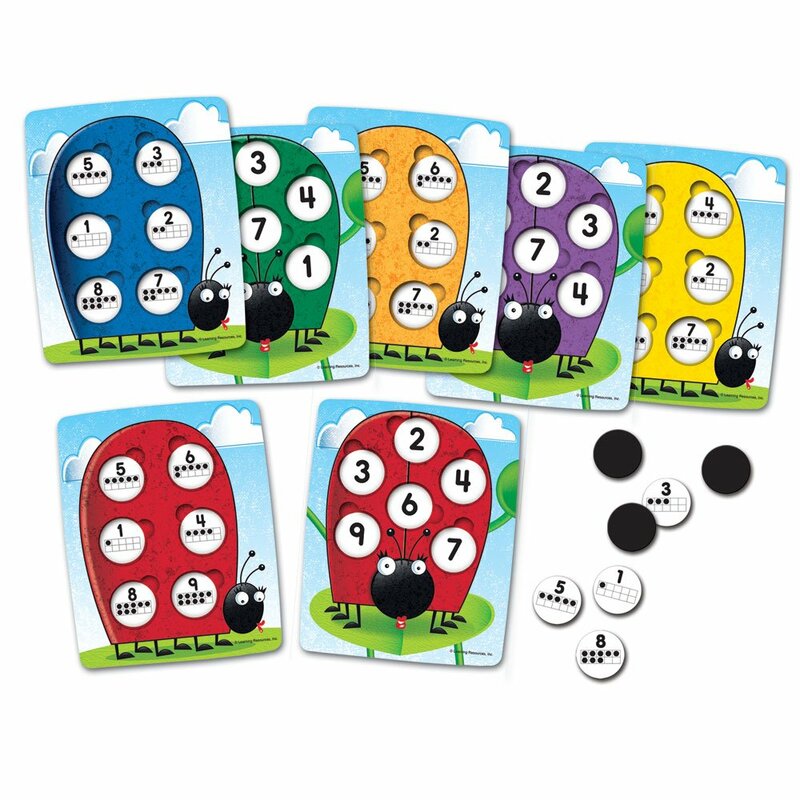 This math game reinforces addition skills and builds multiplication skills while teaching children about probability as they zoom forward and backward. The most recent game I have purchased for my students. We love it! I have used the number tiles with younger students and have played the game with many 4 th graders through middle school students. 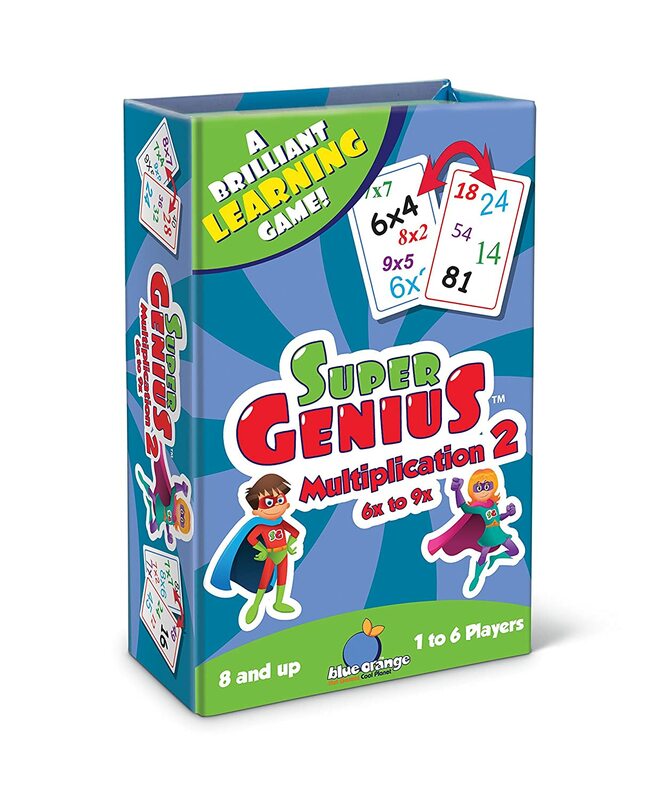 This game is a fun way to practice multiplication, factors, and multiples. It’s a crossword style number game. 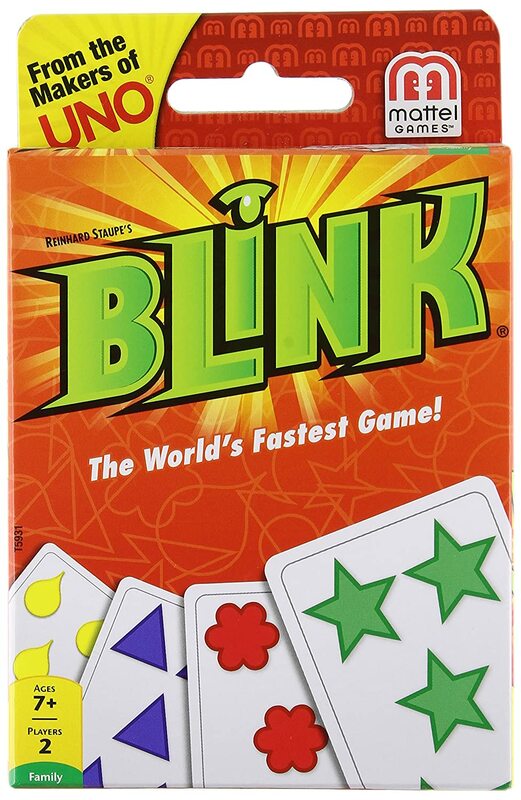 A matching card game that reinforces addition skills, and works on visual perception and processing speed. 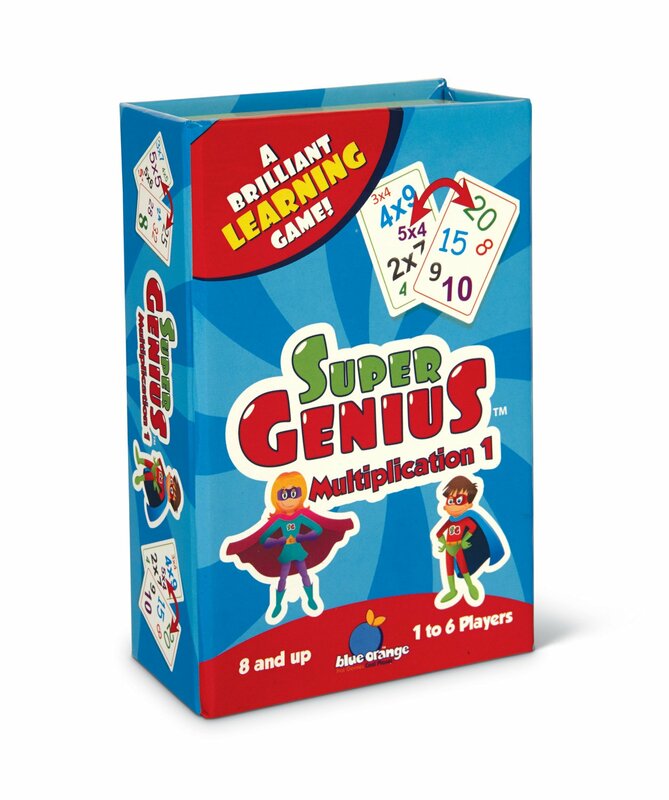 A matching card game that reinforces multiplication skills, and works on visual perception and processing speed. 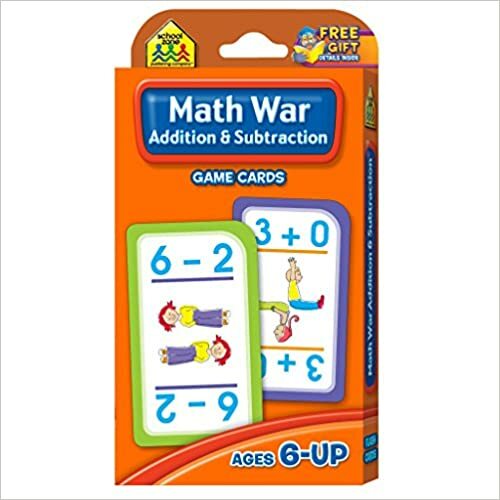 Math War is like traditional war, but uses addition and subtraction equation cards. Players take turns laying down cards and giving the answer to the problem on their card. The highest answer wins all cards for that round. 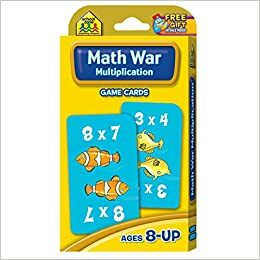 Math War is like traditional war, but uses multiplication equation cards. Players take turns laying down cards and giving the answer to the problem on their card. The highest answer wins all cards for that round. 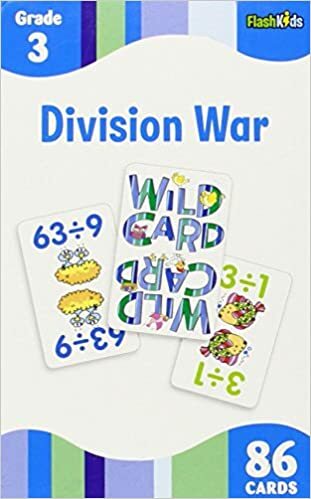 Math War is like traditional war, but uses division equation cards. Players take turns laying down cards and giving the answer to the problem on their card. The highest answer wins all cards for that round. Great for ages 3 – 6! 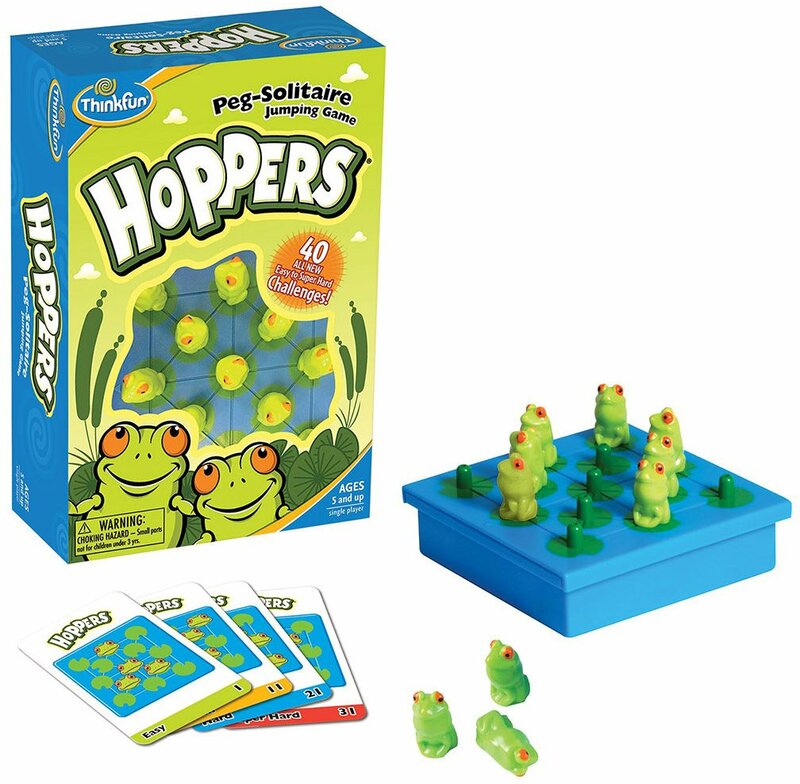 A fun game to develop working memory and number sense! Ages 8 and up! 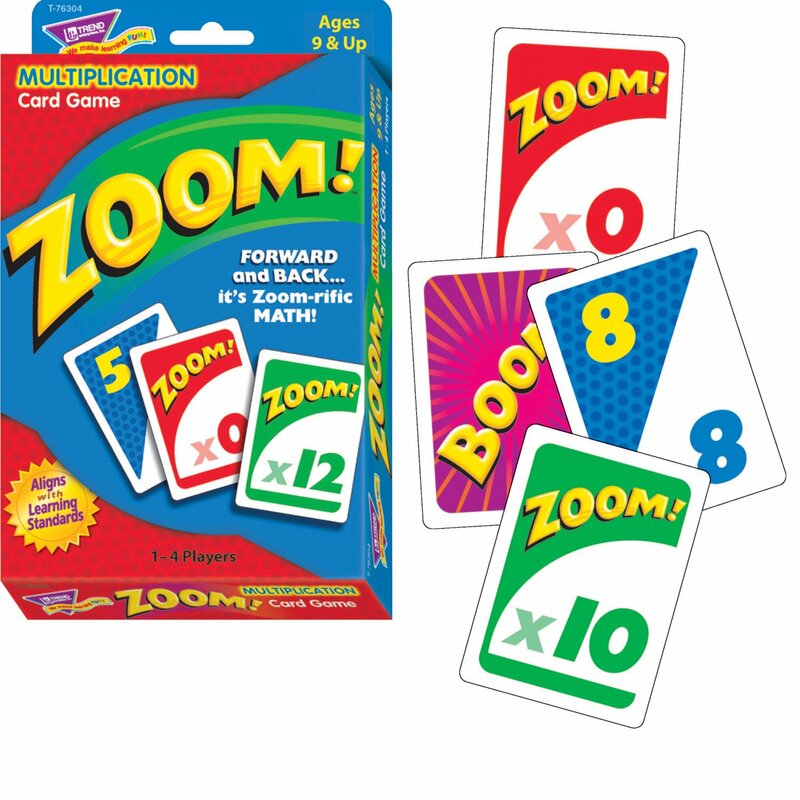 Another great card games to develop number sense and connecting events. Children use what they know about making tens to make combinations of cards to equal $100 while trying to strategize to get the most money! Another family favorite! Ordering and comparing numbers game! Ages 8 and up! 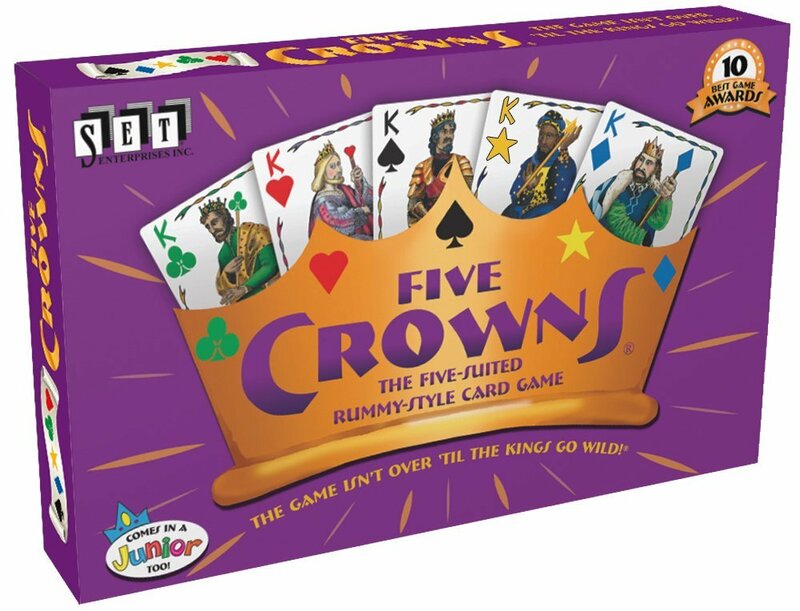 Card game like rummy where players are making sets and runs. Lots of good thinking strategies and number sense while playing! One of my youngest daughter’s favorites. Ages 8 and up! Another family favorite!!! 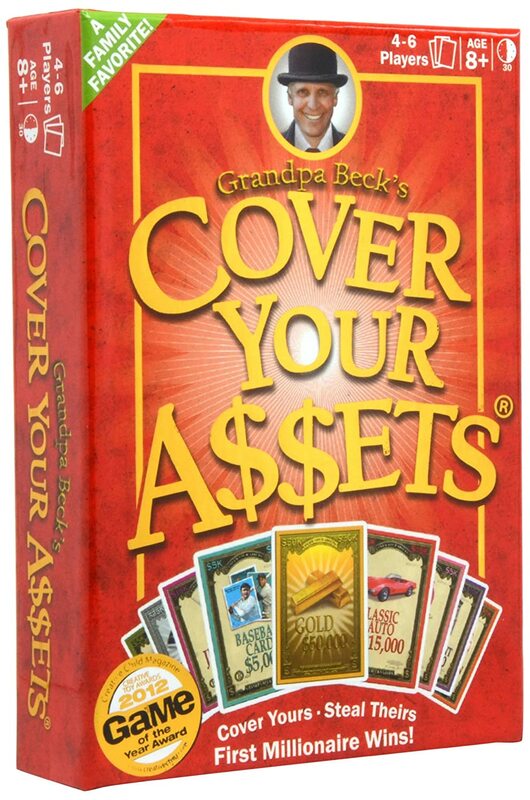 A card game that is easy to learn and good for ages 9 – adult. 2 – 6 players can play. It’s a great way for children to use a variety of thinking strategies while playing this game! Another one of my favorites. 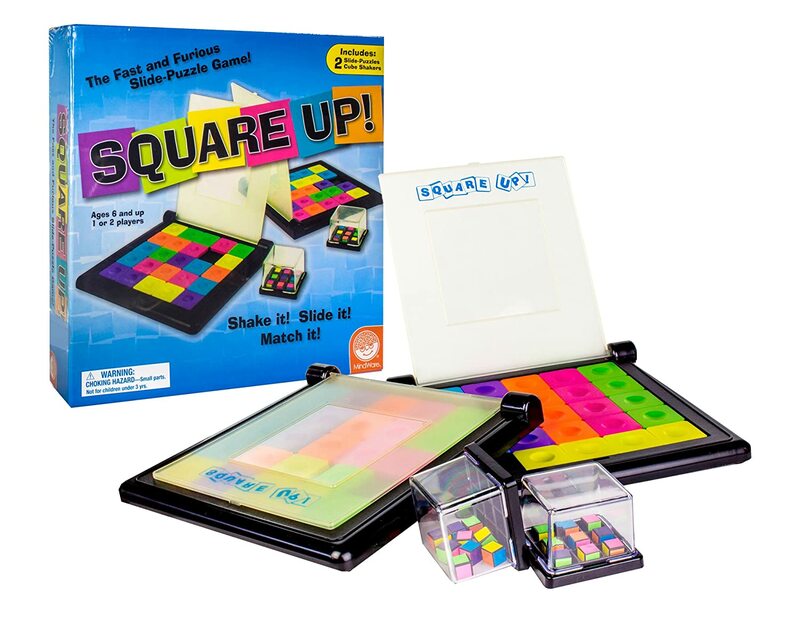 It teaches visual and spacial thinking, making comparison, working memory, planning, and strategizing in a fun way. The goal of the game is to create doodles that match cards and be the first person to collect 6 cards (one of each color). Players roll dice like Yahtzee, but the dice have symbols on them. The players put the dice doodles together to match a design on a card. Another new purchase for me! I bought this game a few months ago and use it all the time. Students love playing it and I love that they are learning spatial thinking (how to slide, flip and turn shapes), and how to work through problems while using a variety of thinking strategies like breaking the card up into parts and making a plan! Ages 8 – 12. Spot It Numbers and Shapes! This is a fun game, easy to take to restaurants or on trips. This one is for ages 2 – 5 year olds. 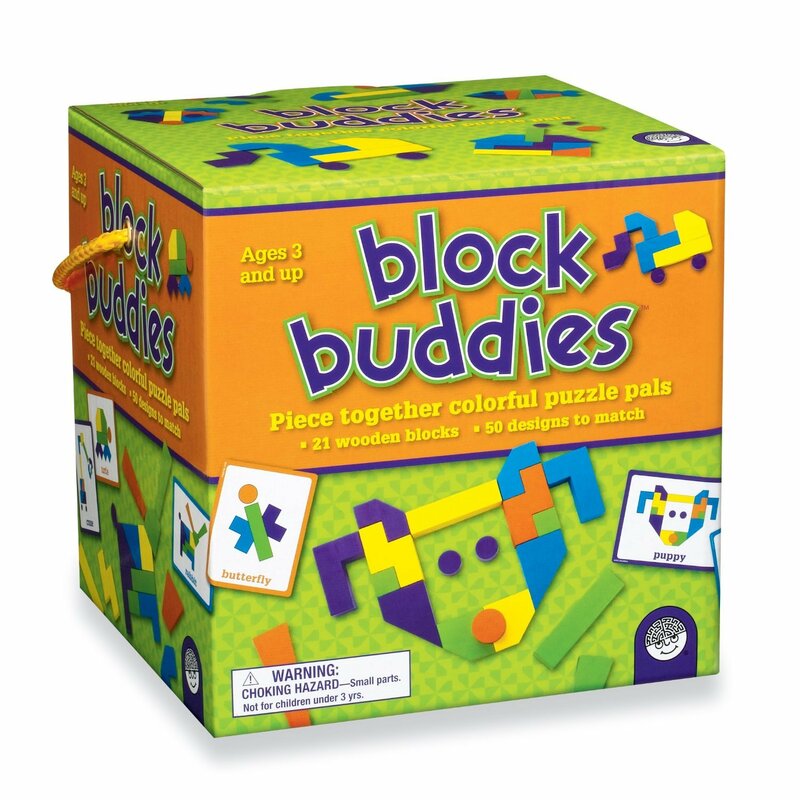 This game develops focus, visual perception skills, speech-language skills, and fine motor skills. Easy to follow rules and fun for a variety of ages. 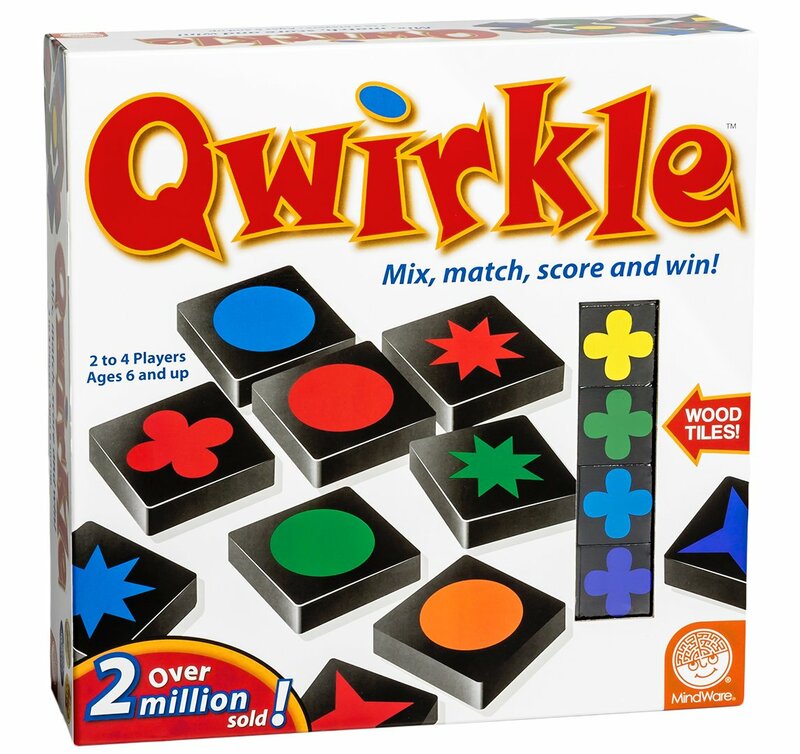 Spacial recognition, planning, and problem solving skills are developed while playing this game! Ages 7 and up. 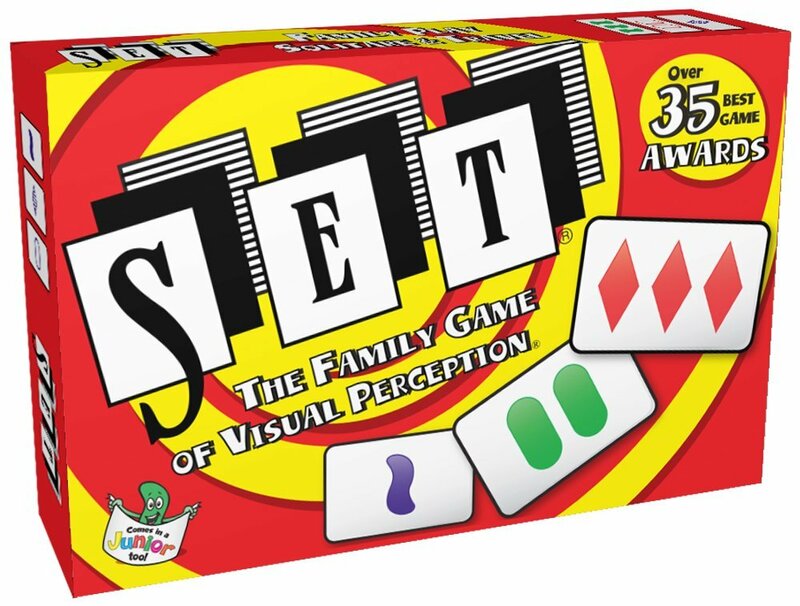 Great card game to develop visual perception. Another favorite game of our family! This game develops logic and spatial perception while children learn to be tactical too. Many geometry concepts learned in a fun way! 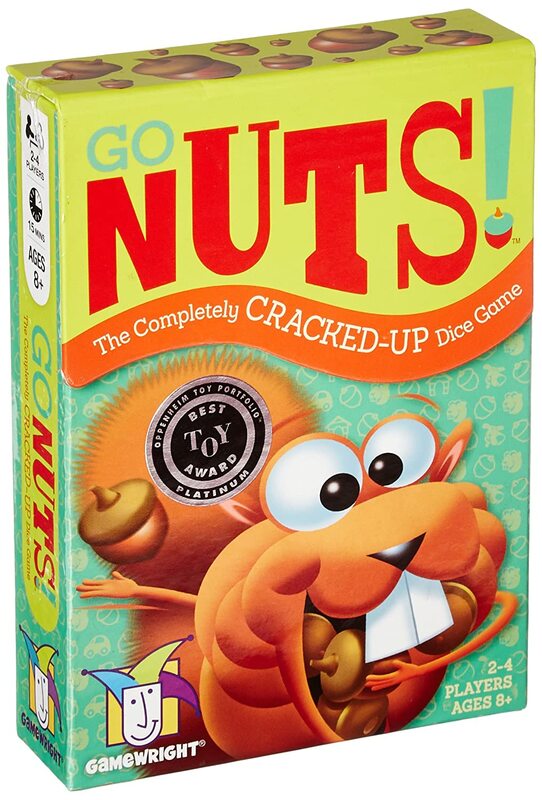 Great game for ages 4- 7. 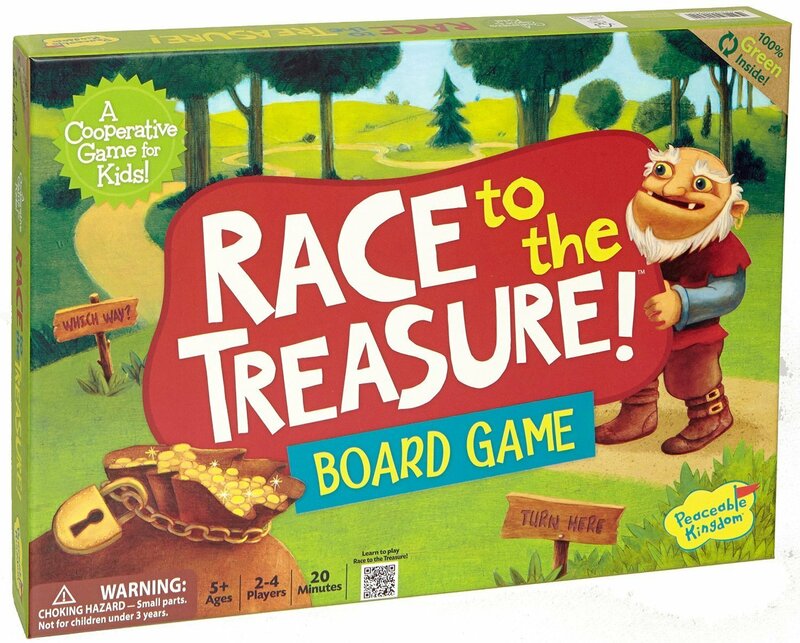 It teaches coordinate grids (with letters and numbers) in a fun and friendly way as players race the Ogre to the treasure. Players use teamwork to beat the Ogre to the treasure by creating a path from start to finish. Children learn strategy, math-grid concepts and important teamwork! 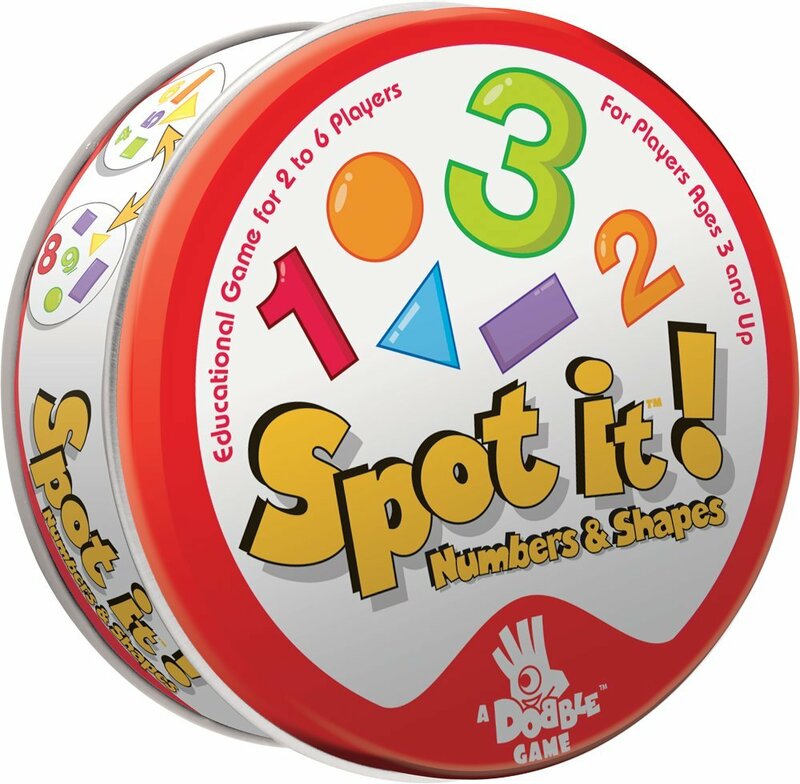 Fun preschool game for up to 4 people where children can practice and learn counting, adding and subtracting! They also use working memory to remember what some of the pictures on the spinner mean too! This is our favorite game of 2016. 2 – 5 people can play. As a family of 5, it’s nice to find a 5 person game! Ages 8 and up! It was a family Christmas present and we have played it many times. My daughter enjoys playing this when friends come over too. This game develops decision making, counting your routes and points, following plans, etc. The longer the routes, the more points. 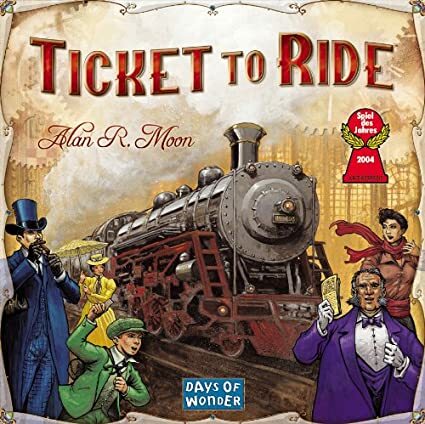 Additional points come to those who can fulfill their Destination Tickets by connecting two distant cities, and to the player who builds the longest continuous railway. Aunts and Uncles love to play this game too! 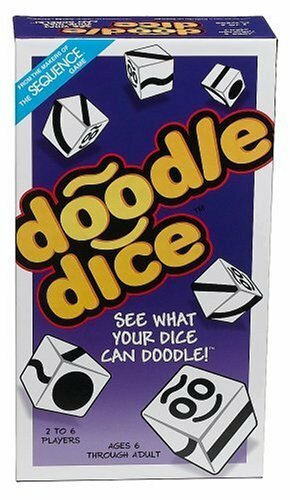 A fun dice game for ages 8 and up! It’s very easy to learn and easy to bring wherever you go. 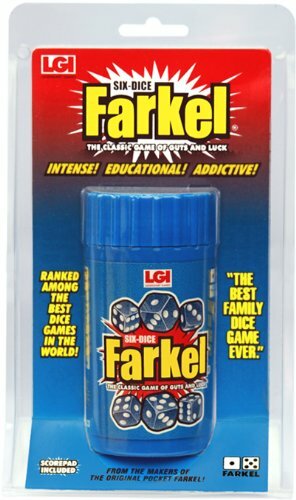 Farkle develops visual memory skills, math number sense, adding skills, decision making and probability in a fun way! Great to play with a larger group of people too! 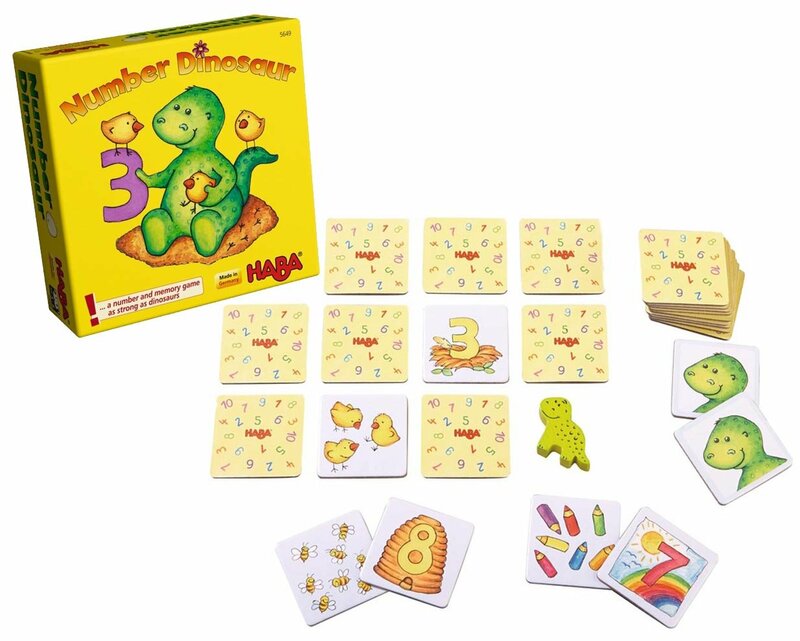 A great game for preschoolers through 2nd grade to develop number sense, addition skills, and fact fluency. 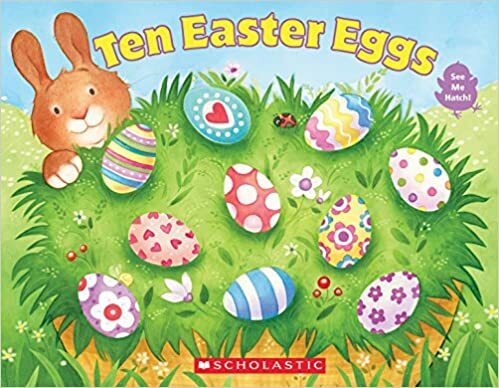 It helps them understand 10 and how to make 10 in a variety of ways. It’s easy to play and fun! There are lots of ways to adapt this game to teach other math skills too! 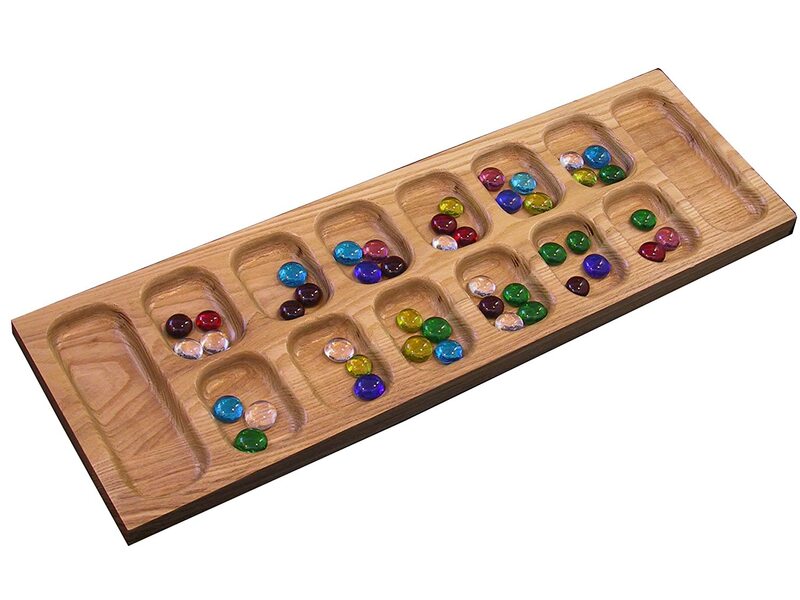 A great game for preschoolers through 2nd grade to develop base ten understanding using ten frames. While playing this fun bingo style game, children are learning how to count on to make 10. Lots of number sense skills developed during this game! 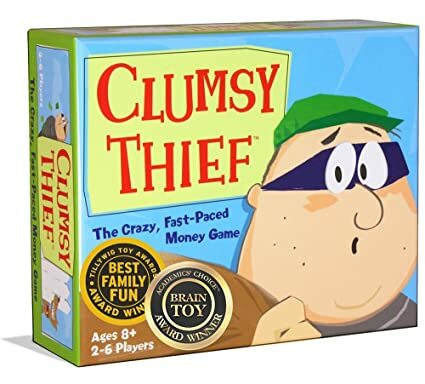 A classic game, but this version is in a 4 person game. A fun game for all ages and works on counting, adding, subtraction, planning, strategy (playing offense and defense while trying to capture a section), decision making, patience, and reasoning. One of my daughter’s favorites when she was in elementary school! My daughter loved the 2 person version so much, we then got the 4 person version and loved playing that too! A classic game, but this version is in a 2 person game. 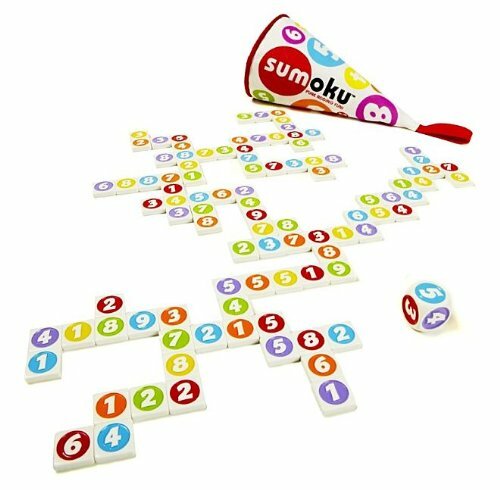 A fun game for all ages and works on counting, adding, subtraction, planning, strategy (playing offense and defense while trying to capture a section), decision making, patience, and reasoning. One of my daughter’s favorites when she was in elementary school! 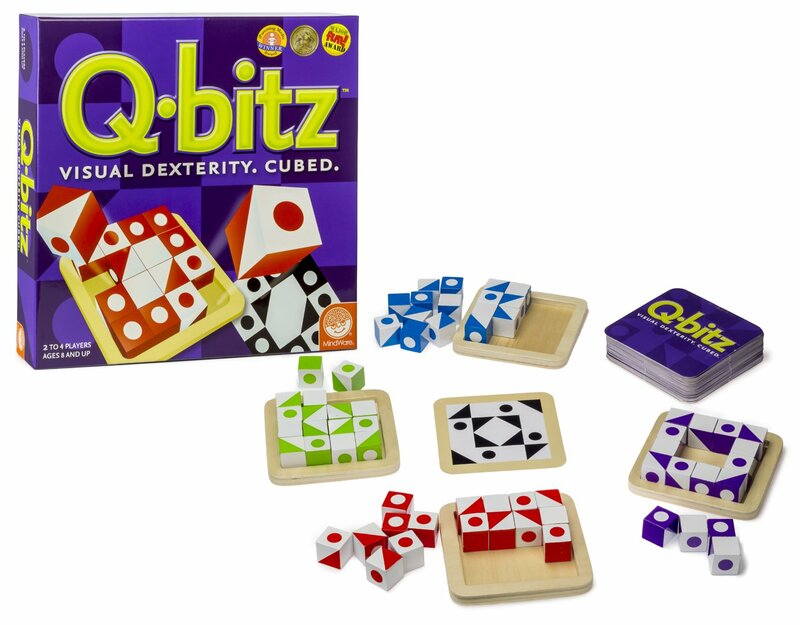 This game is for children ages 6 – 12 and is a great game to take on an airplane. Everything fits in one container. 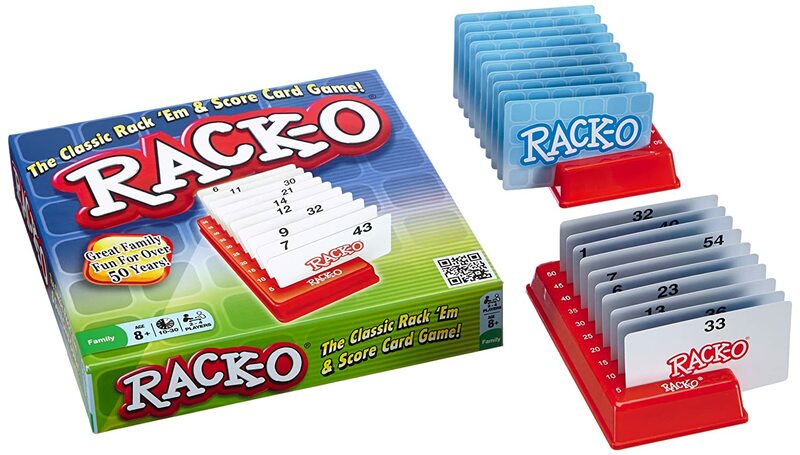 Each card gets more challenging and children develop logic, reasoning, and problem solving skills in a fun way! 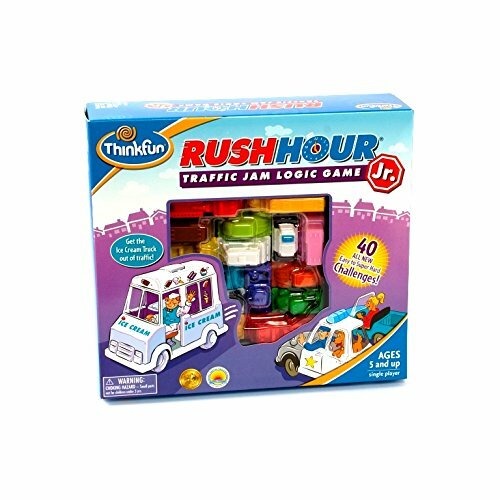 Rush Hour Junior by Think Fun! Ages 5 and up- great introduction to single player logic games! There are 40 challenge cards. Children shift blocking cars and trucks out of the way to clear a path. Fun way to build problem solving skills! Ages 7 and up. 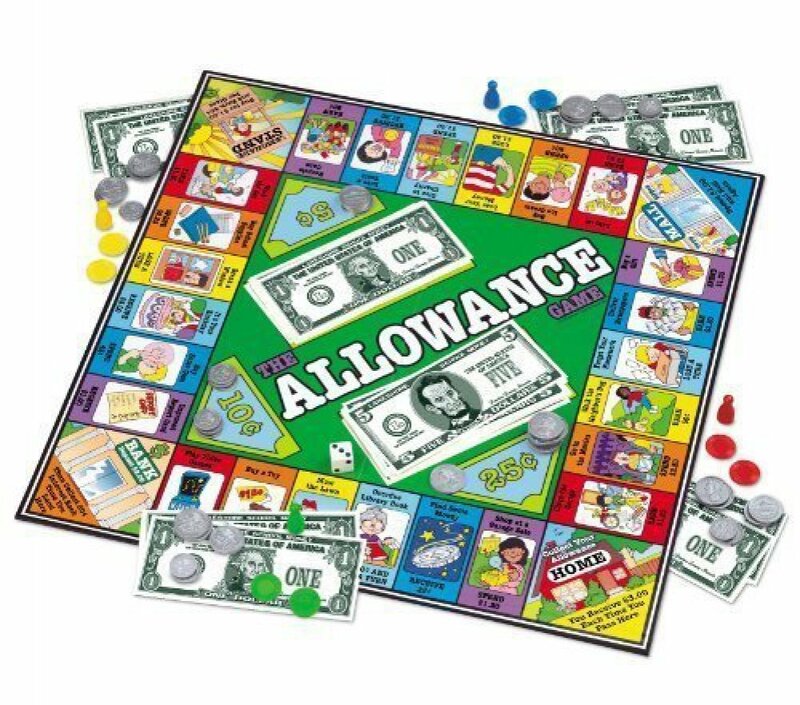 My children still enjoyed playing this game at ages 11, 13, and 15 but especially loved it when they were ages 8 and up! 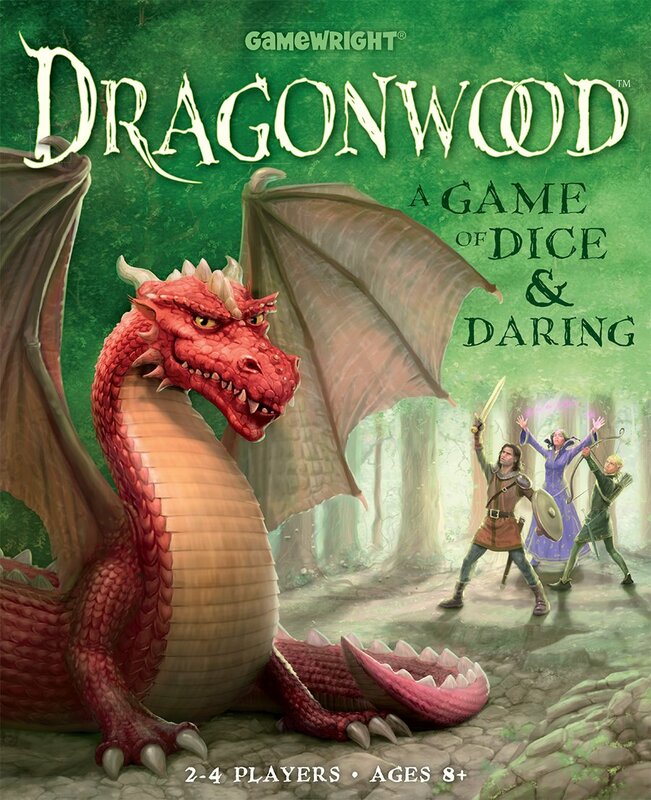 It challenges them and is different each time based on the rolls of the colored dice. It’s a quick game that requires hand eye coordination, thinking strategies and an understanding of lengths, weight and balance. 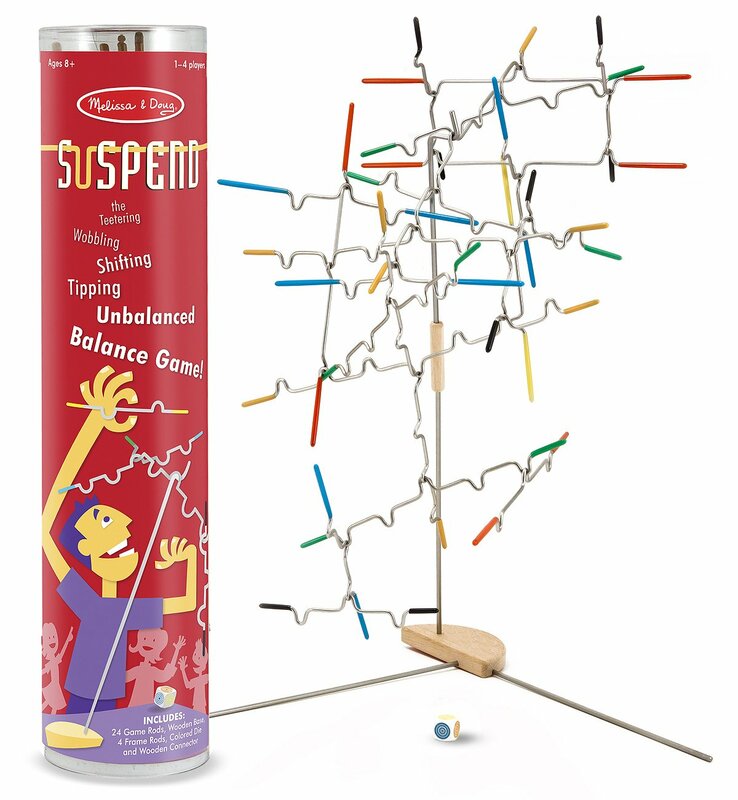 Suspend requires players to skillfully determine where pieces of different lengths will best balance. 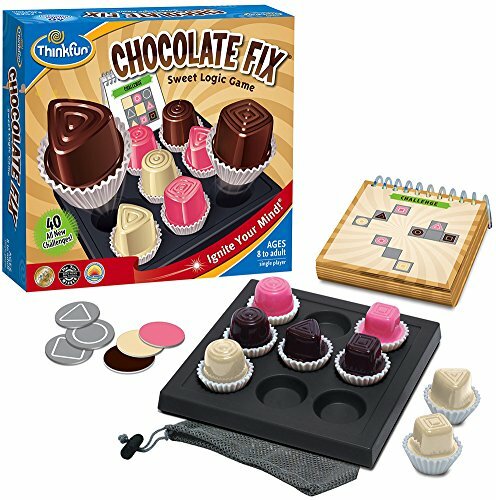 Chocolate Fix Logic Game by Think Fun! A sturdy and fun 3-dimensional logic puzzle, in which pices of candy in different shapes and colors are deduced using clues and elimination! A favorite of my children and math camp students! Gravity Maze by Think Fun! This is a Falling Marble Logic Game. It’s a marble run and logic puzzle all together. Ages 8 and Up! There are 60 challenge cards ranging from beginner to expert. 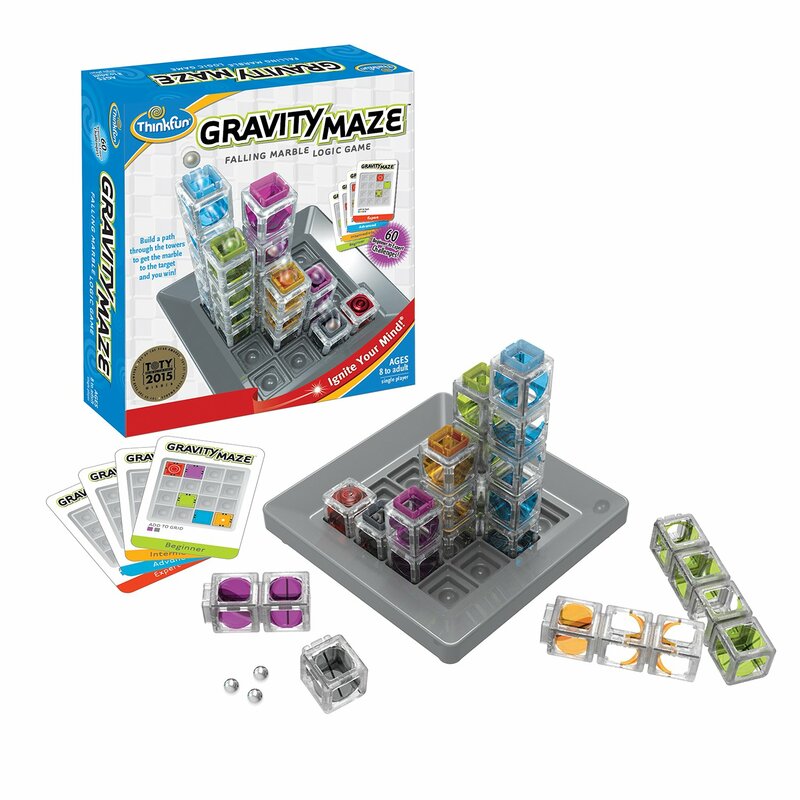 This game builds spacial reasoning and planning skills. My youngest daughter and husband enjoyed solving a few of these each night together. A favorite during center time at my Math Camps! 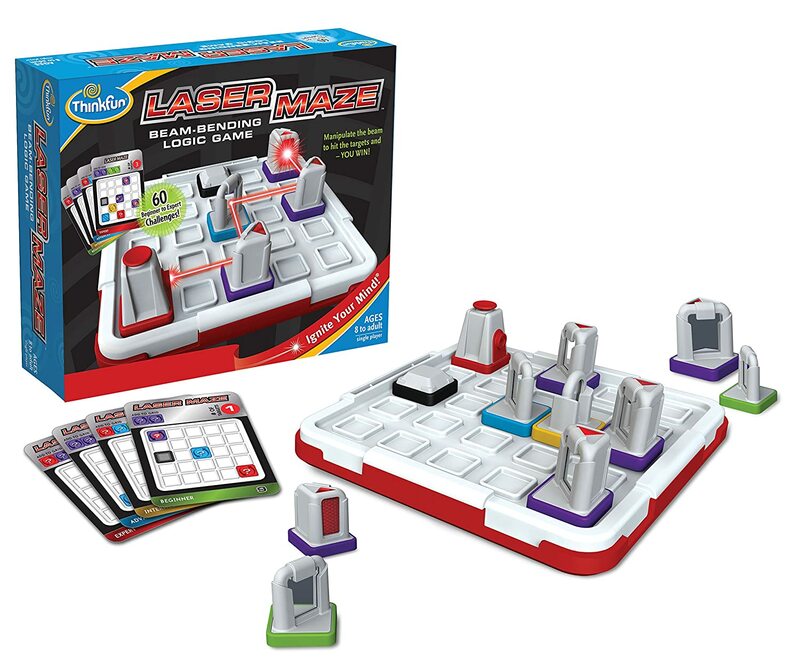 A fun logic game with a real laser for Single player 8 Years &amp; up. There are 60 challenge cards from beginner to expert. 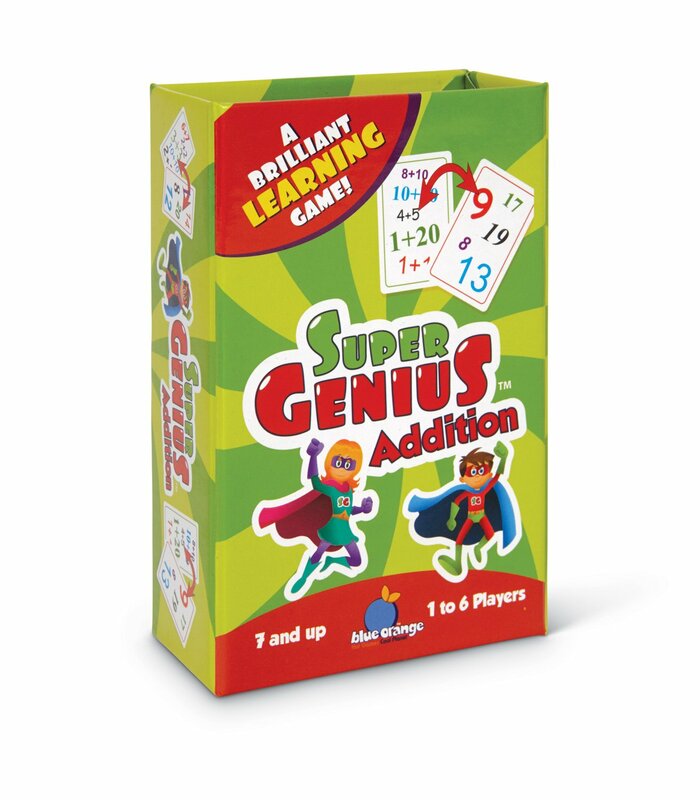 This game builds sequential reasoning and planning skills. My youngest daughter and husband enjoyed solving a few of these each night together. A favorite during center time at my Math Camps! Lacing cards are a great way for children to follow a plan, develop perseverance, and develop two handed fine motor skills. 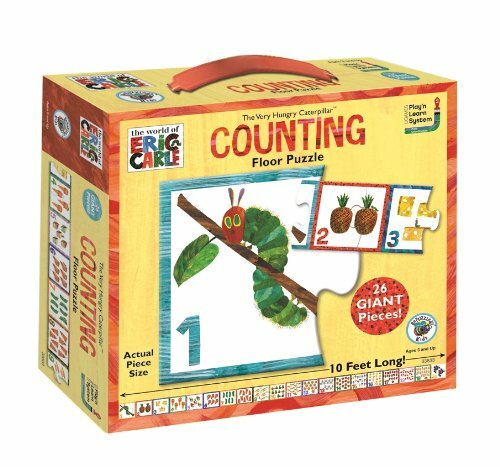 This activity comes in a great bag and is a fun and educational way for children to improve fine motor skills and explore with counting, shapes, patterns, sorting and more! 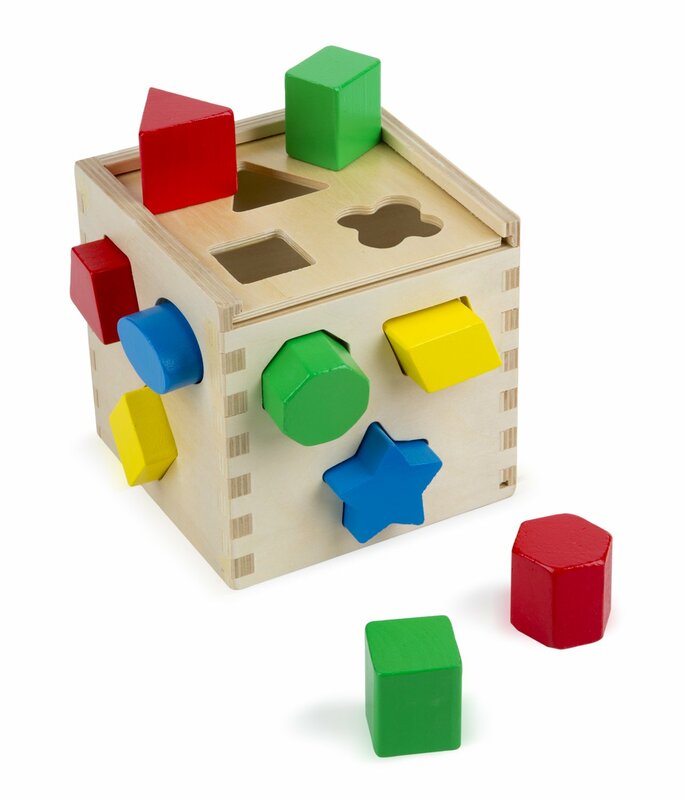 This is a great toy that allows for children to explore and investigate math through a variety of ways! 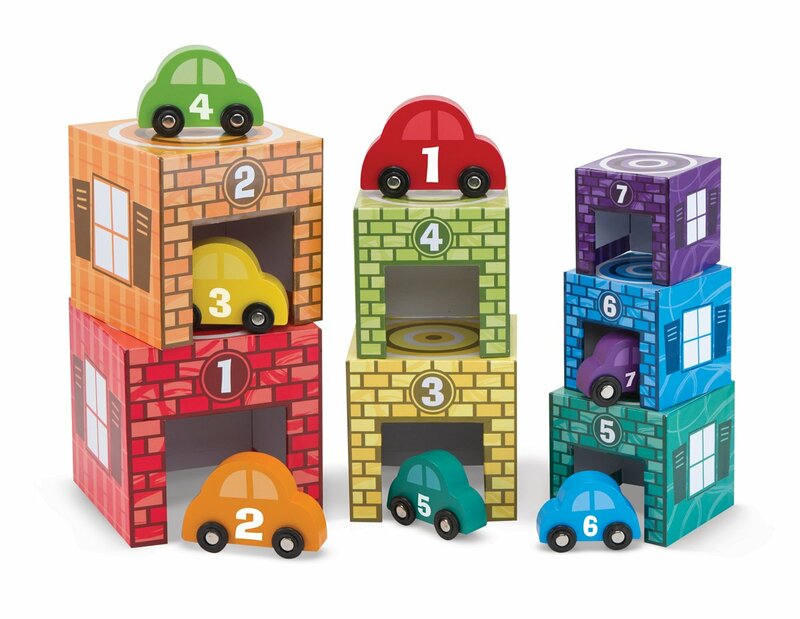 Children match-and- stack set of 7 stacking garages and 7 wooden cars. 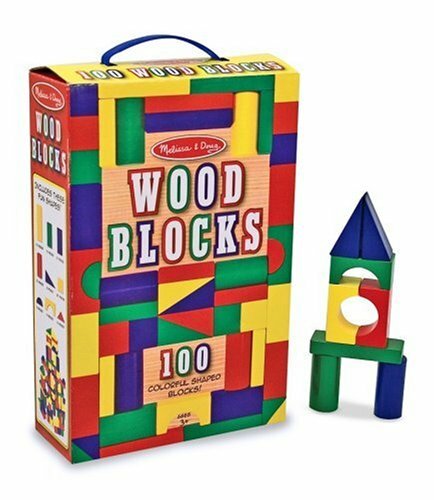 A great toy for hand-eye coordination; concepts of color, size, and number; counting; problem solving; and creative play. Magna doodles are a fun way for children to explore and investigate writing. Great way to develop fine motor skills too. They can try writing and drawing and then erase and try again. They can write big or small. 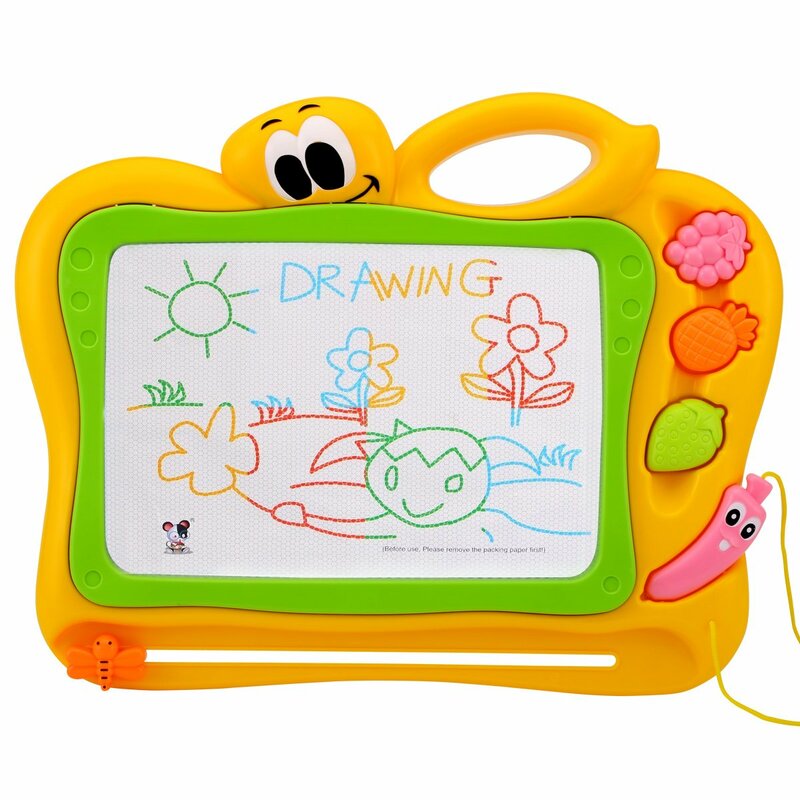 This toy has a magnetic drawing screen and easy-slide eraser “magically” cleans screen. Children learn how to compare, plan, create, reason, and many math skills while playing with playdough. They make shapes (geometry). A great activity to develop fine motor skills too! 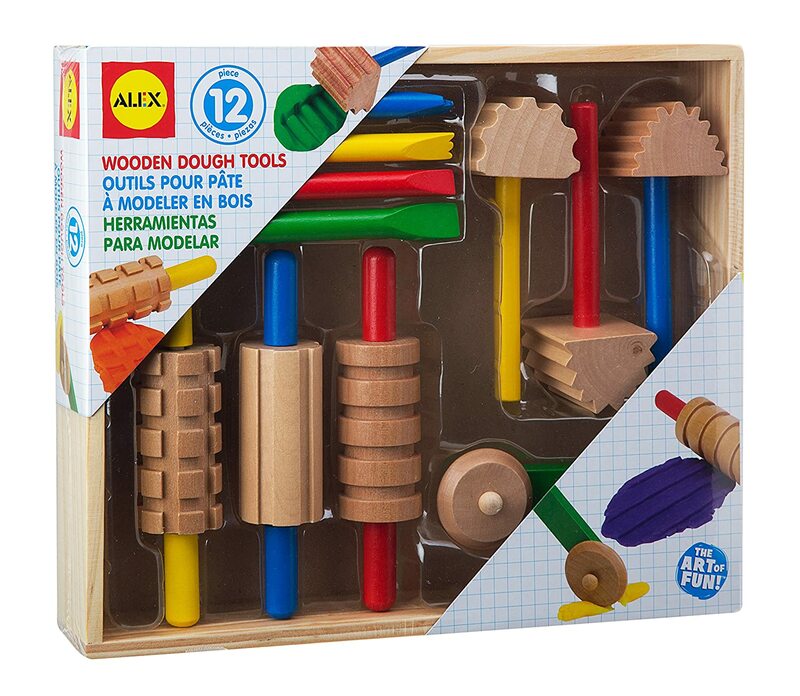 A fun set of tools to use with playdough for creating designs in your dough projects. 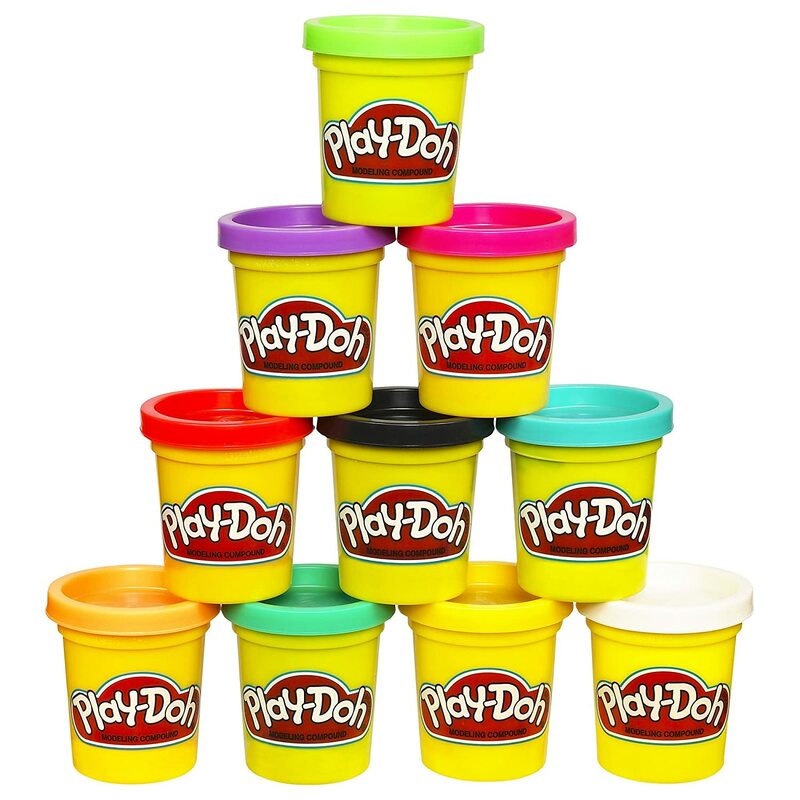 Playdough develops fine motors skills and children can explore many math concepts while playing with playdough like shapes, comparing sizes, counting, sorting playdough designs by color, &amp; making patterns. 3 years of age and older. This is a Classic learning activity for ages 1 ½ – 4 years old. 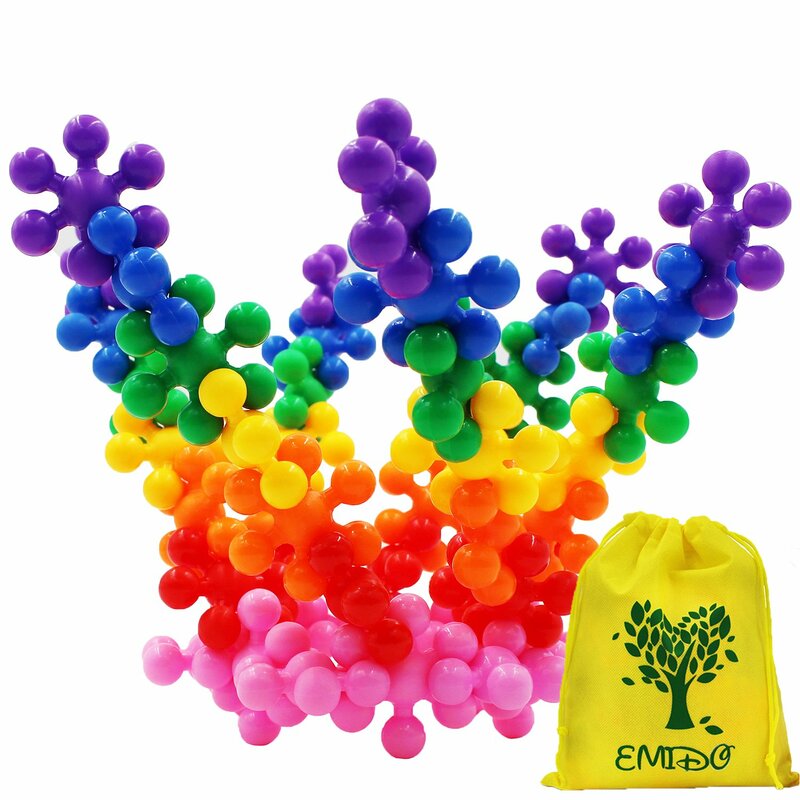 A fun toy that promotes color and shape recognition and problem-solving skills. What I love about blocks is the endless learning and fun! Blocks foster problem solving, imagination, understanding of cause and effect, creativity, and many more concepts in a fun open ended way! One of my favorites!! Children create block designs by looking at a plan/card. There are three levels of difficulty. Children will love building animals, vehicles and people while also developing their problem solving, logical reasoning, visual and tactical skills. 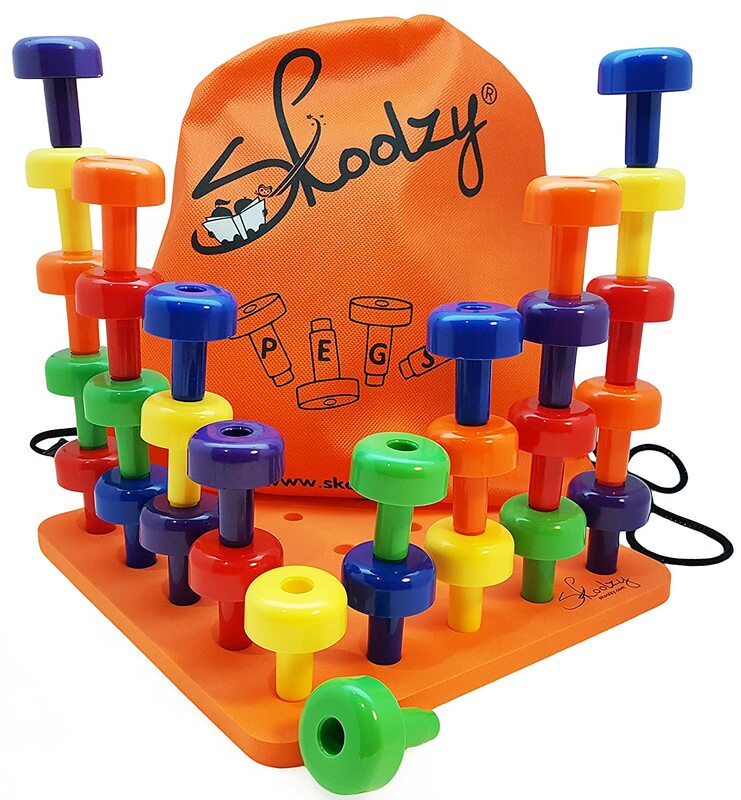 A great toy/puzzle for many reasons. 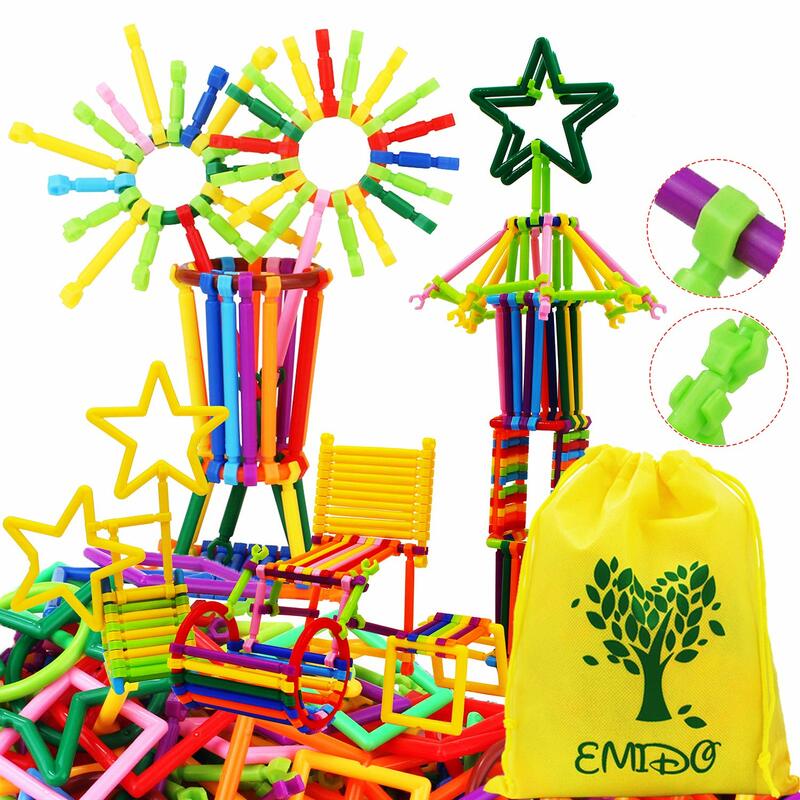 It develops spatial reasoning and problem solving skills, and allows practice for fine motor skills. 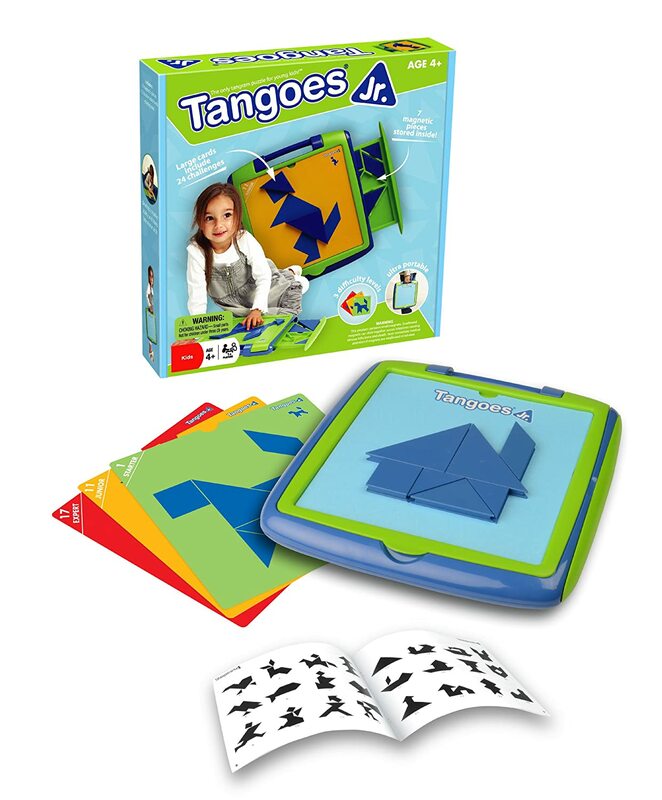 It is a great case that has tangram shapes and puzzle designs plus the pieces are magnetic with 2 levels of difficulty. Great design and fun way to learn and explore! Ages 2 – 4. 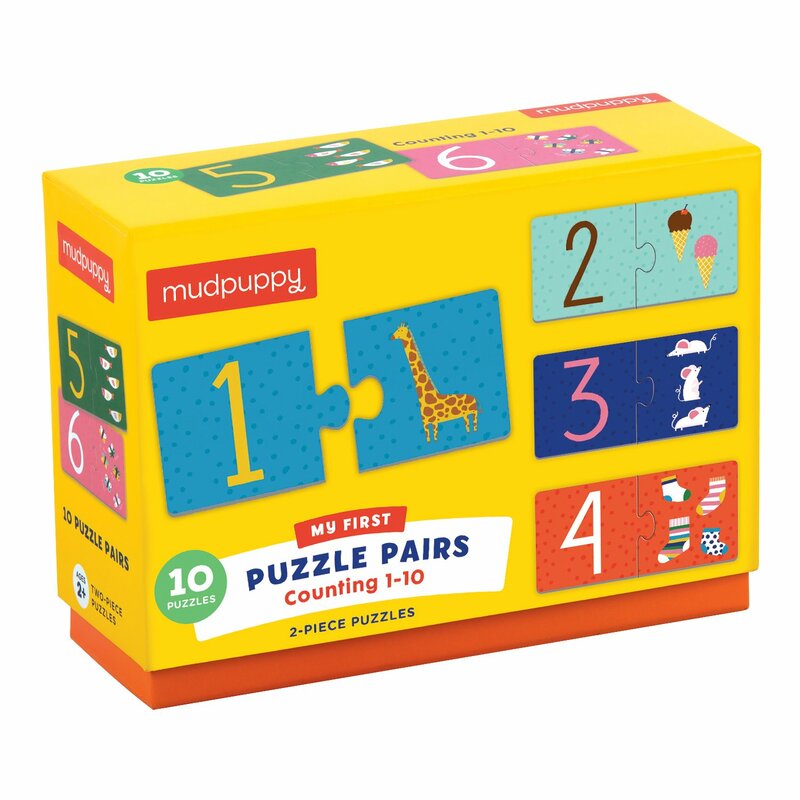 Puzzles are a great way to build number sense, develop spatial thinking, hand eye coordination, problem solving, and fine motor skills. A great puzzle for preschoolers! 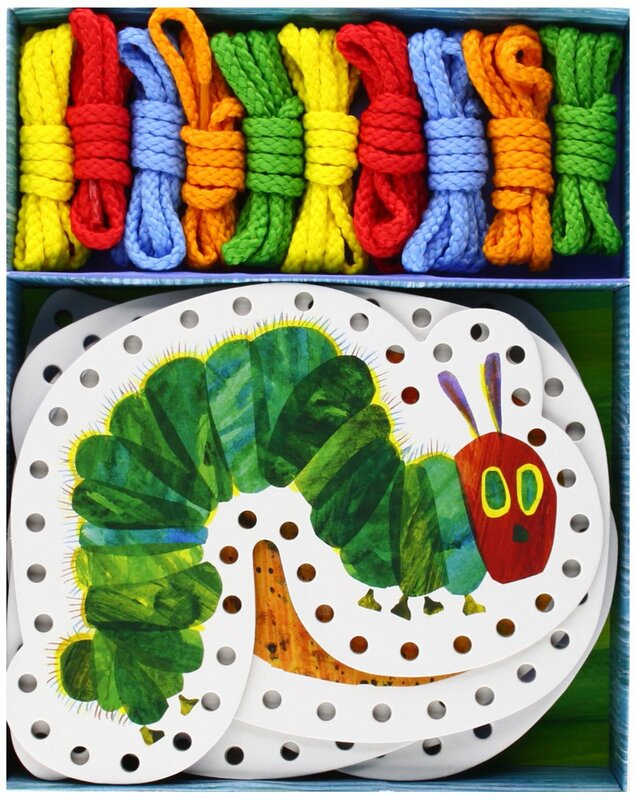 I love this story, so it’s fun to see Eric Carle’s illustrations on a puzzle! 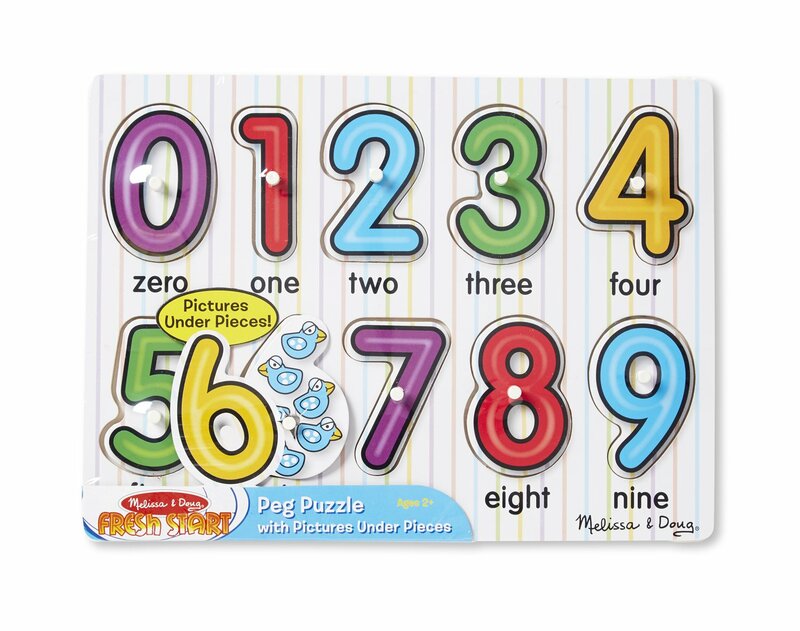 Puzzles are a great way to build number sense, develop spatial thinking, hand eye coordination, problem solving, and fine motor skills. 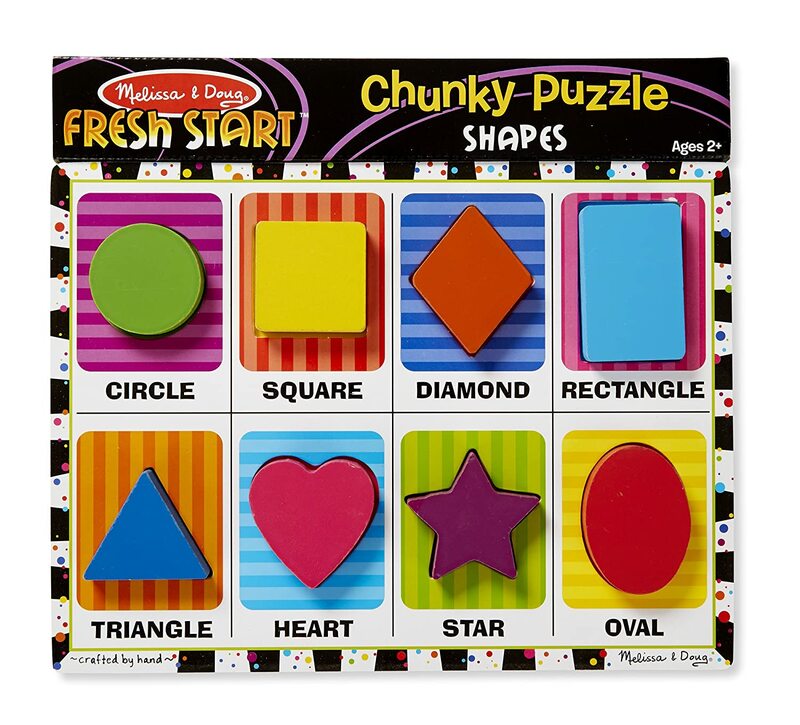 A brightly colored puzzle that develops fine motor skills, spatial thinking, and learning of shapes! Board book for babies- preschoolers. 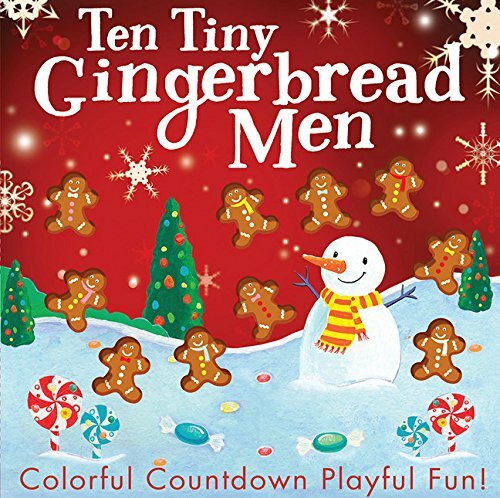 Fun story based on the song, “Ten on the Bed.” This is a fun winter story that ties in counting! 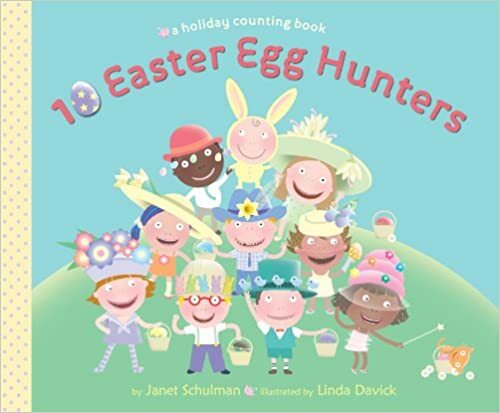 A fun counting book with great illustrations. Backwards counting from 10 to 1. Perfect for preschoolers and Kindergarteners. 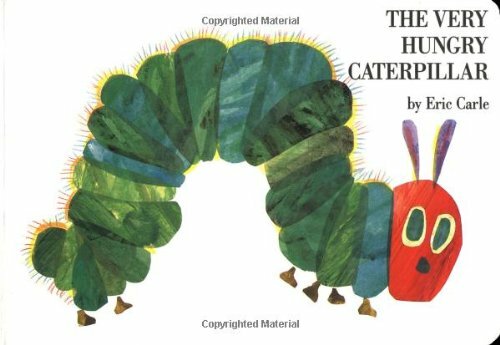 A classic book with beautiful illustrations and lots of learning! Children learn about the days of the week and number sense. They learn about sequencing, and ordering numbers. Any book by Stuart J. Murphy is a great read! They are fun stories that help children understand a variety of math concepts. Plus, there are suggestions of fun math activities to do with your children. Any book by Stuart J. Murphy is a great read! 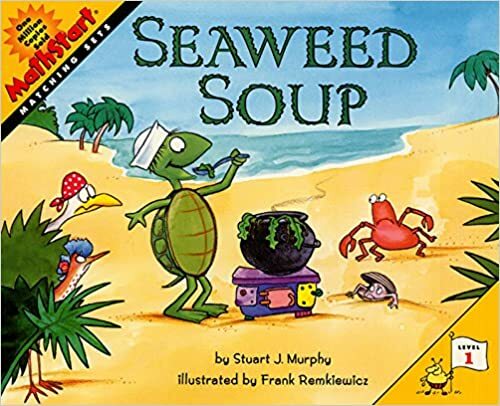 This is another great story to show how turtle uses one to one correspondence and problem solving skills in a very fun way! Counting picture books are a great way to reinforce number sense. 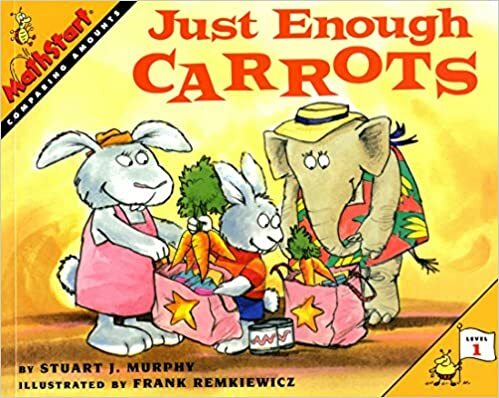 I love reading math stories like this to toddlers through Kindergarteners. This story teaches rhyming too! Counting picture books are a great way to reinforce number sense. 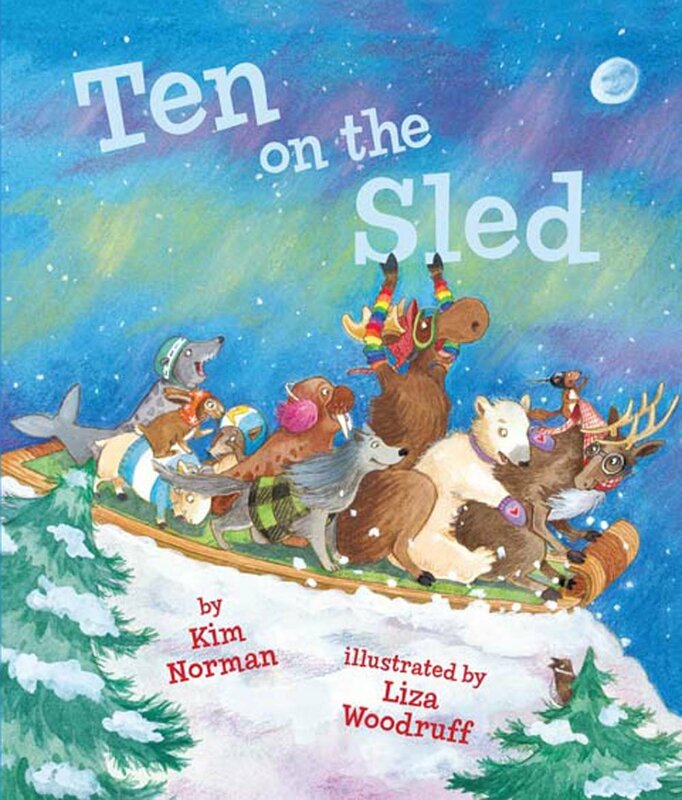 I love reading math stories like this to toddlers and preschoolers. This story is counting backward from 10. Kim Lee Learning, LLC is a participant in the Amazon Services LLC Associates Program, an affiliate advertising program designed to provide a means for sites to earn advertising fees by advertising and linking to amazon.com.